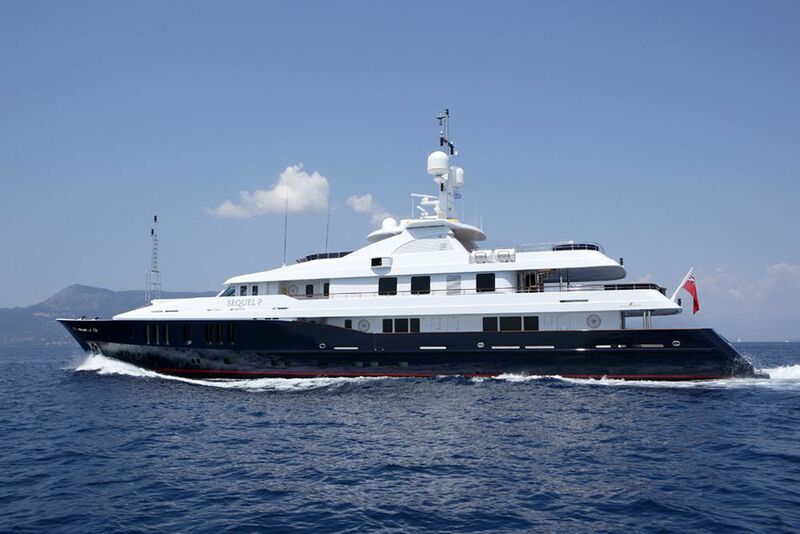 Luxury motor yacht RARE FIND (ex SEQUEL P) at 54,7 m (179,5) ft was launched in 2009 by Proteksan Turquoise Yachts and designed H2 yacht designers. 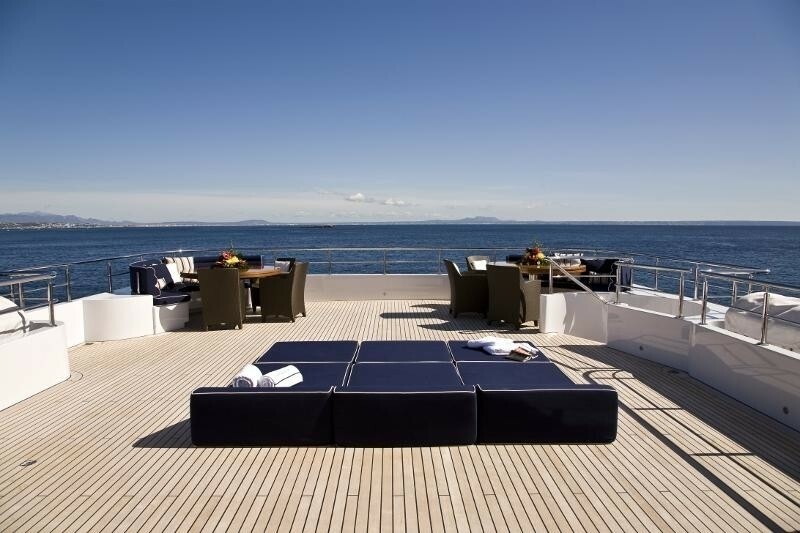 M/Y RARE FIND is a well-designed superyacht which features good outdoor areas as well as natural and tranquil interiors as decorated in Sycamore and macore as well as a fantastic art collection. 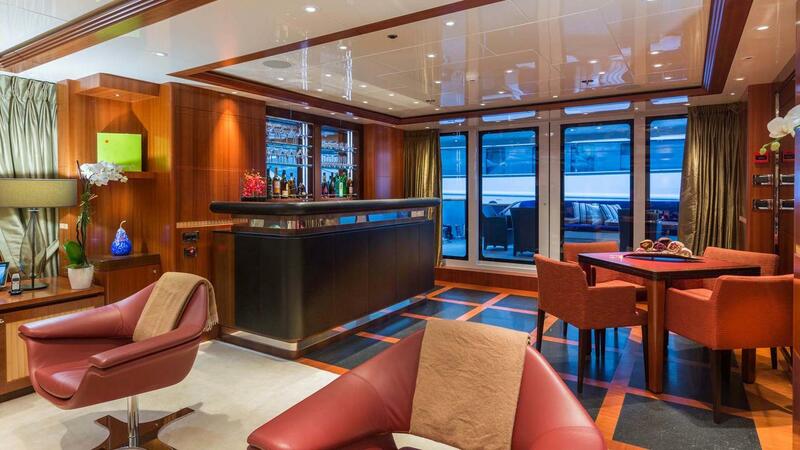 On the upper deck, there are huge windows in the sky lounge, where visitors can admire the superior views. 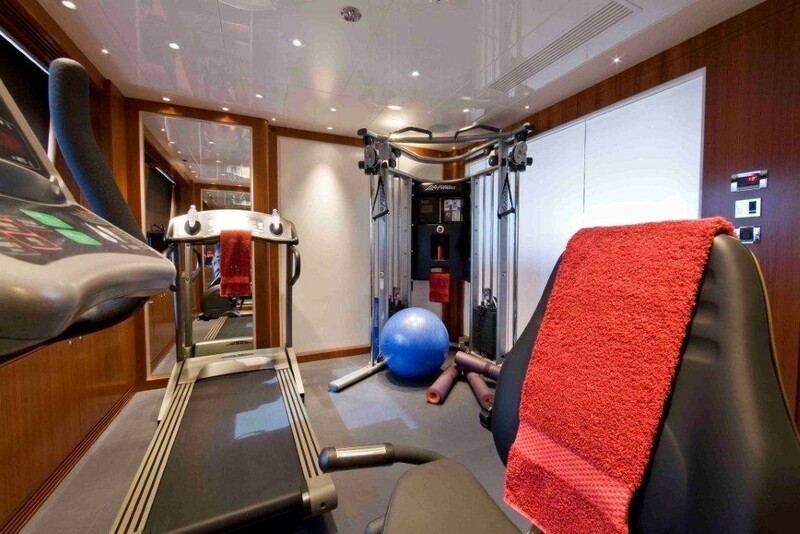 Guests can also enjoy the stylish bar and a gymnasium as fully equipped with an electronic entertainment system. 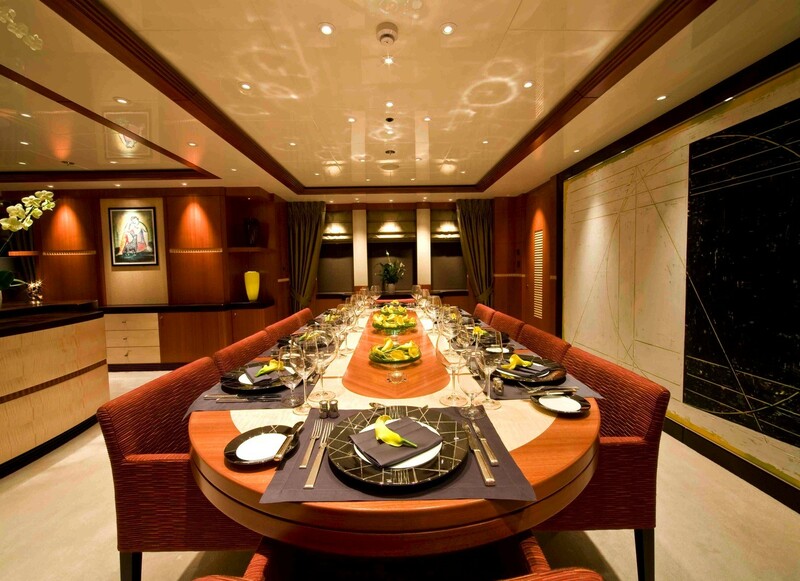 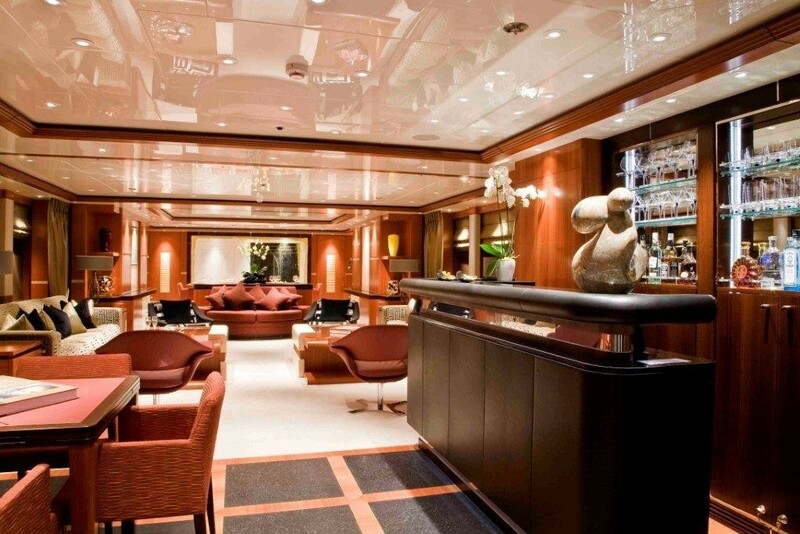 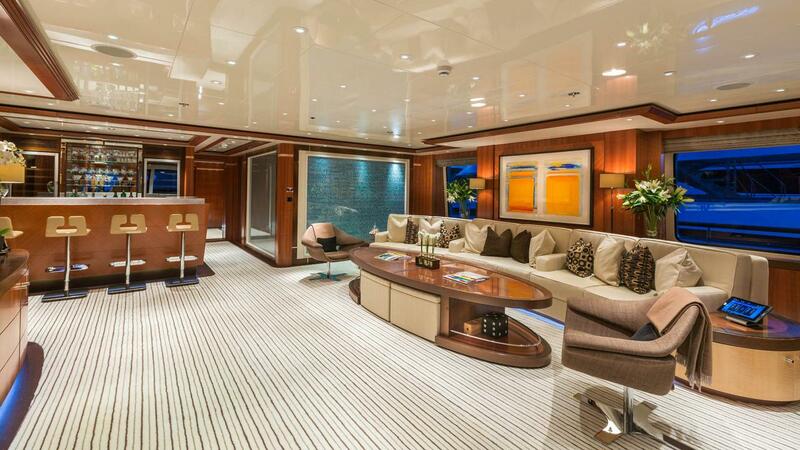 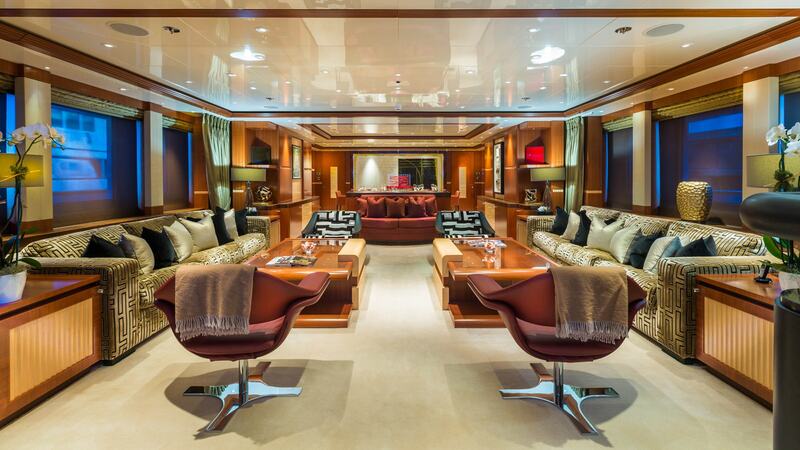 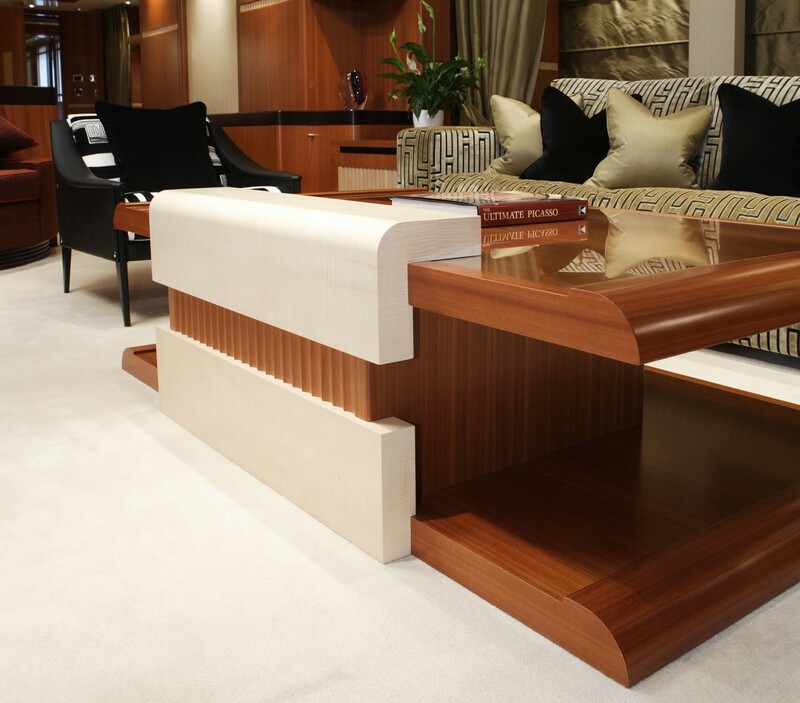 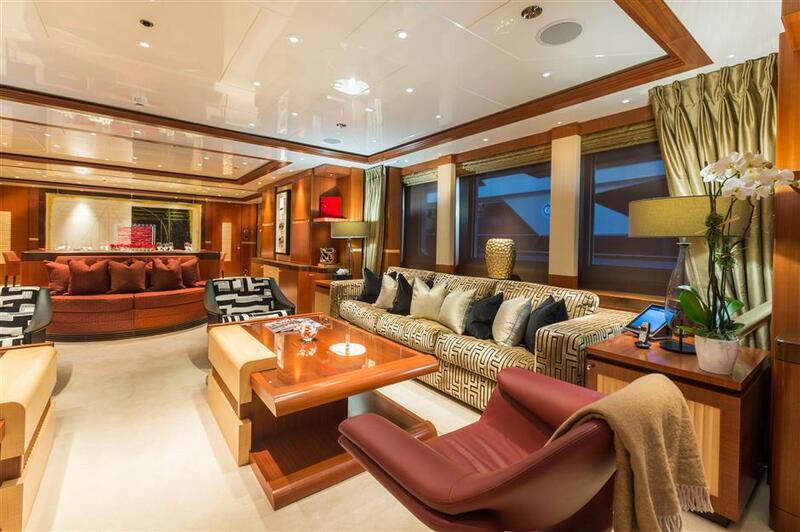 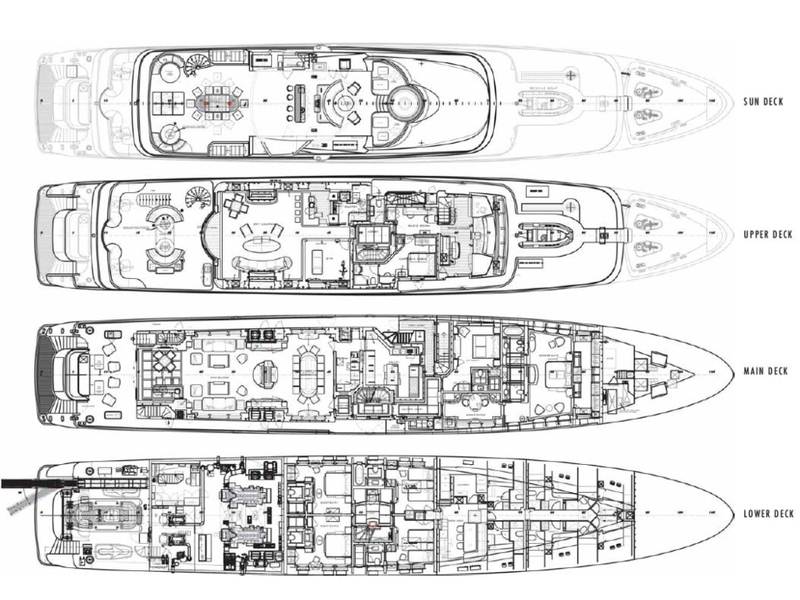 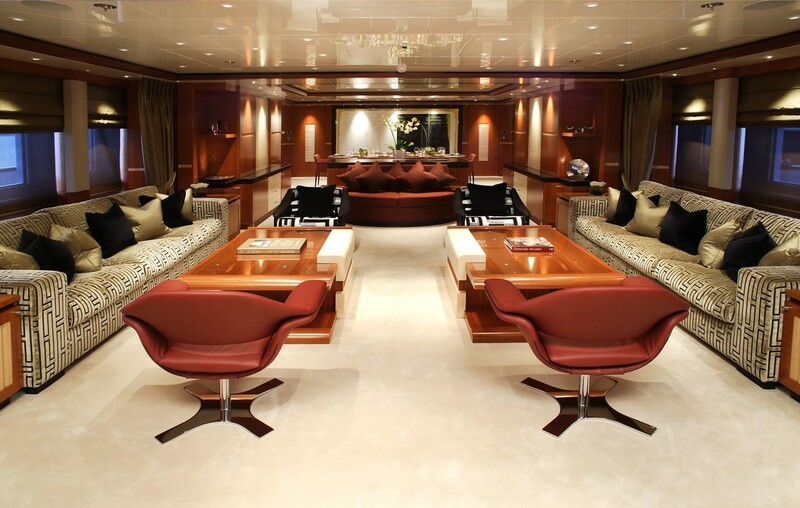 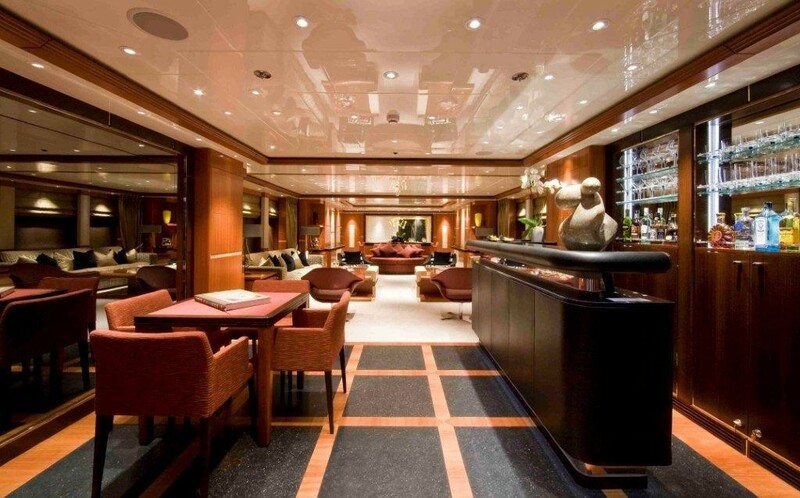 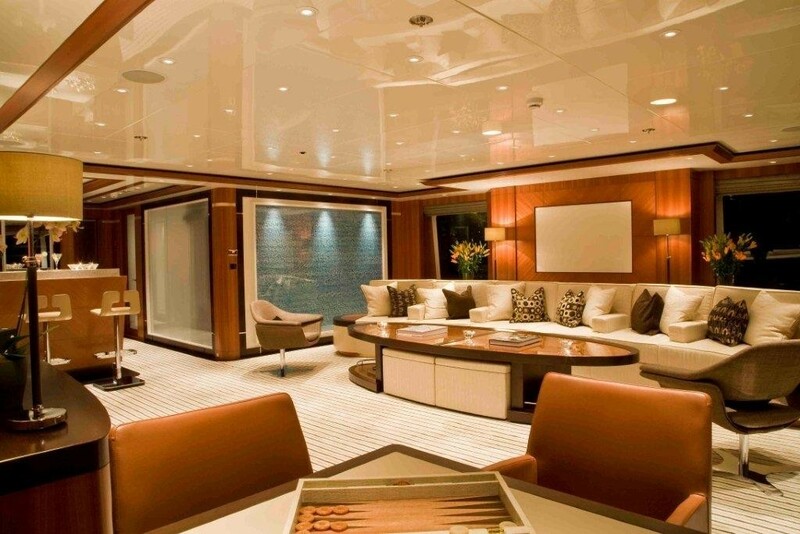 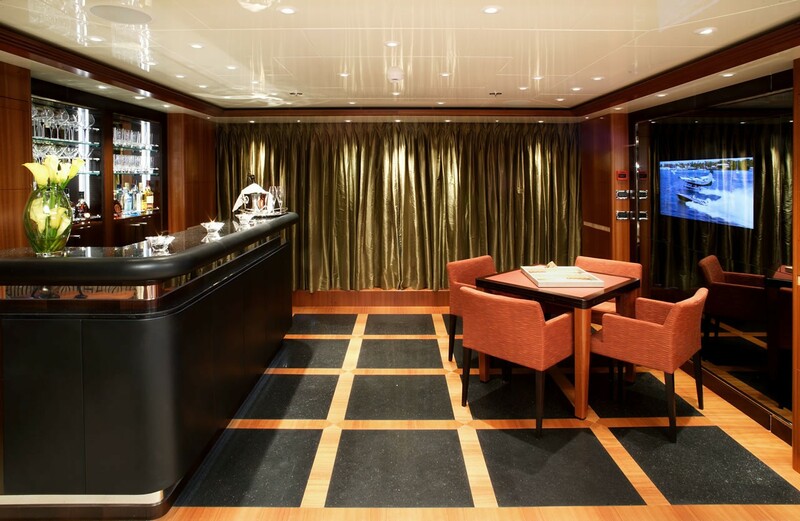 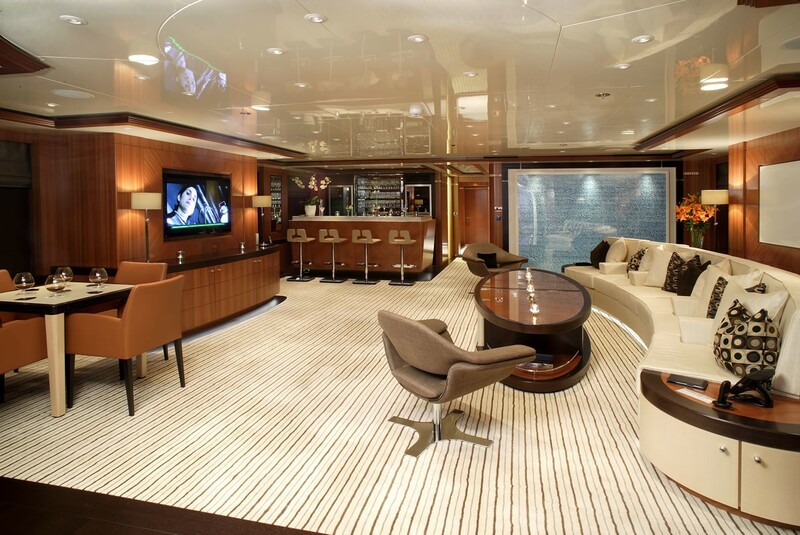 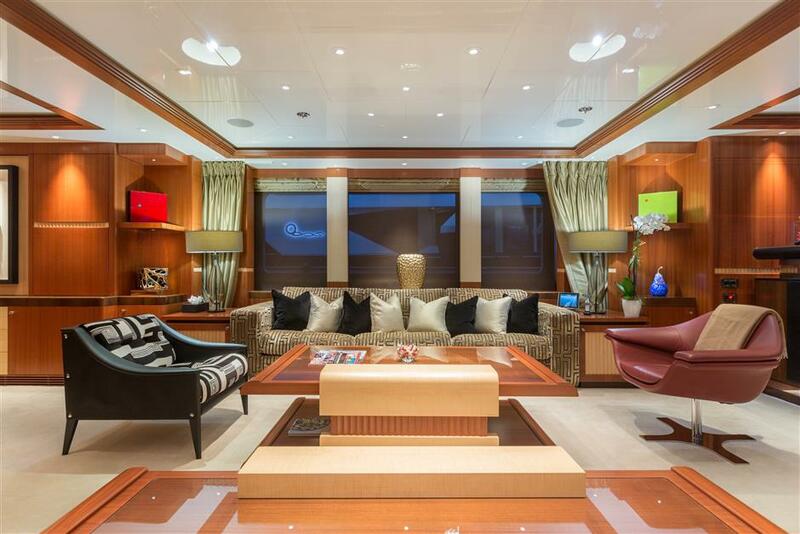 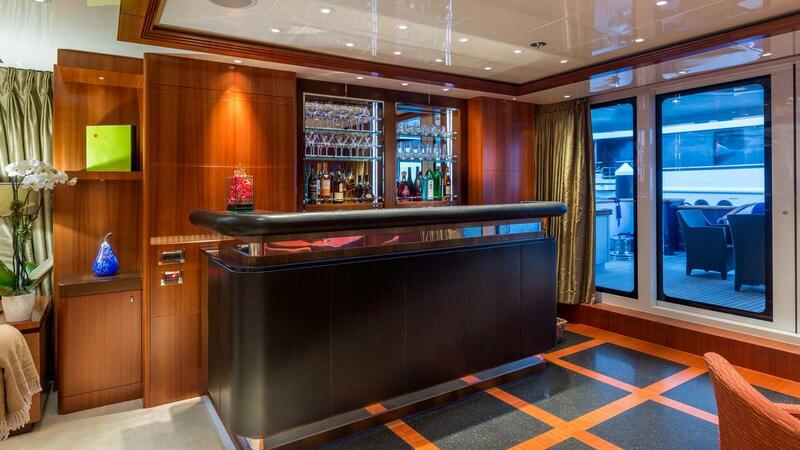 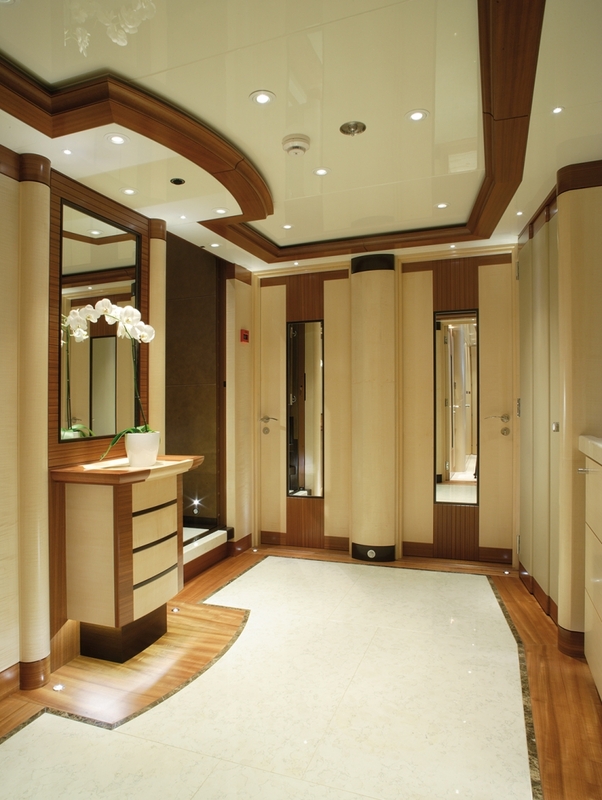 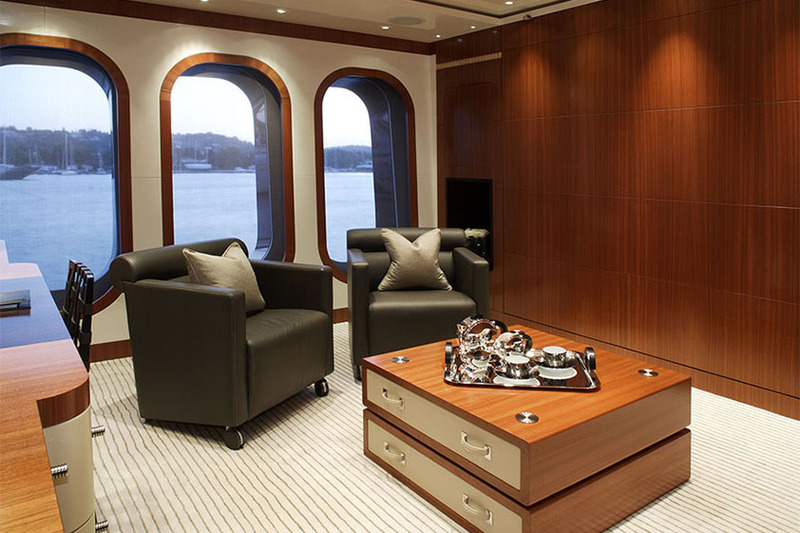 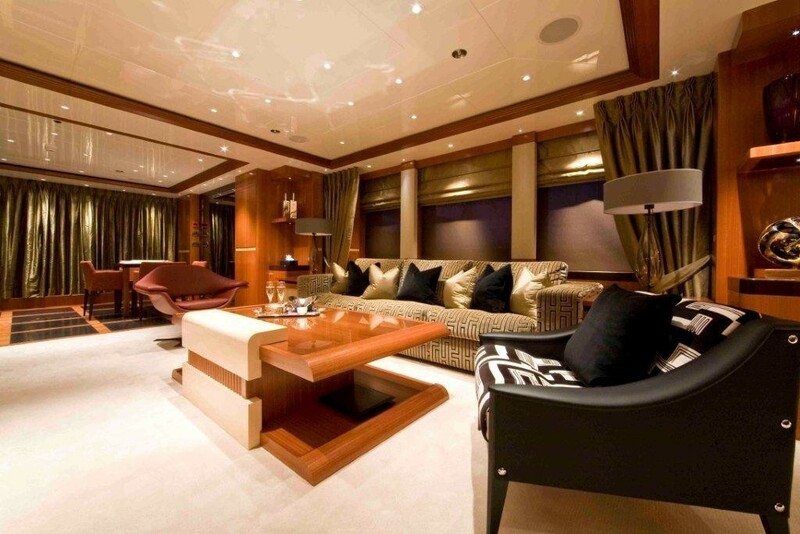 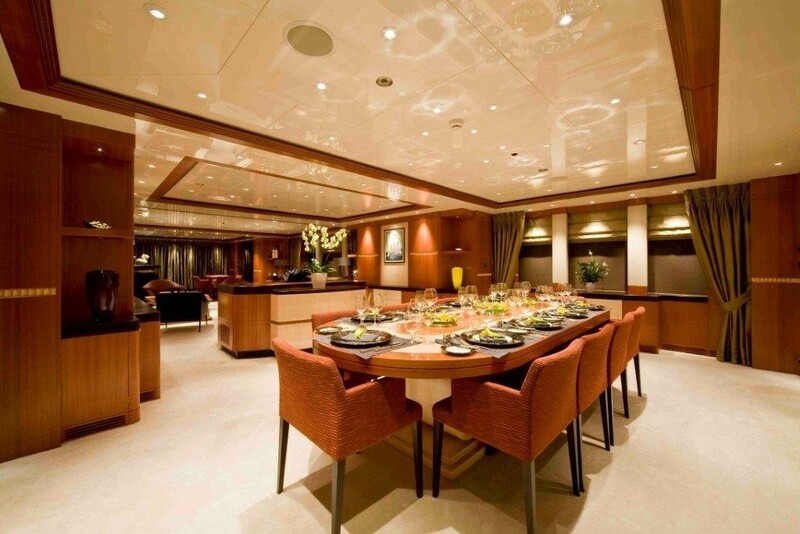 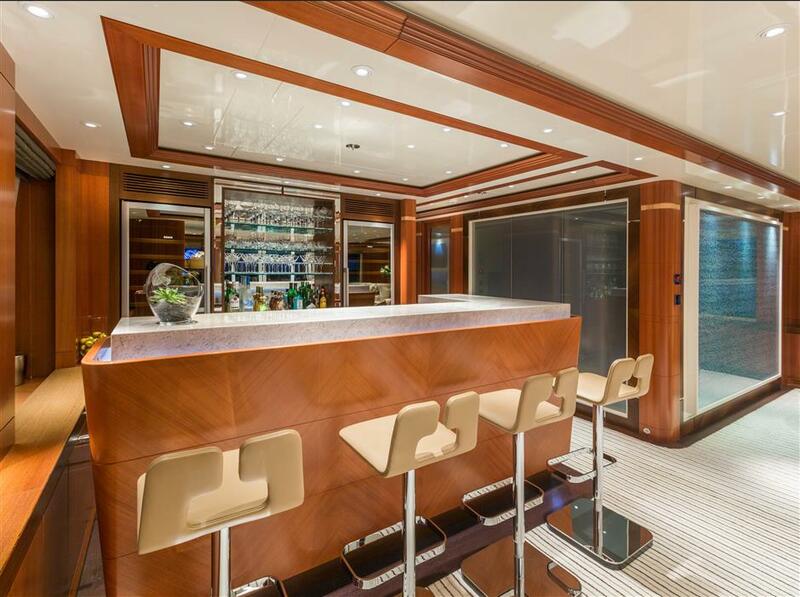 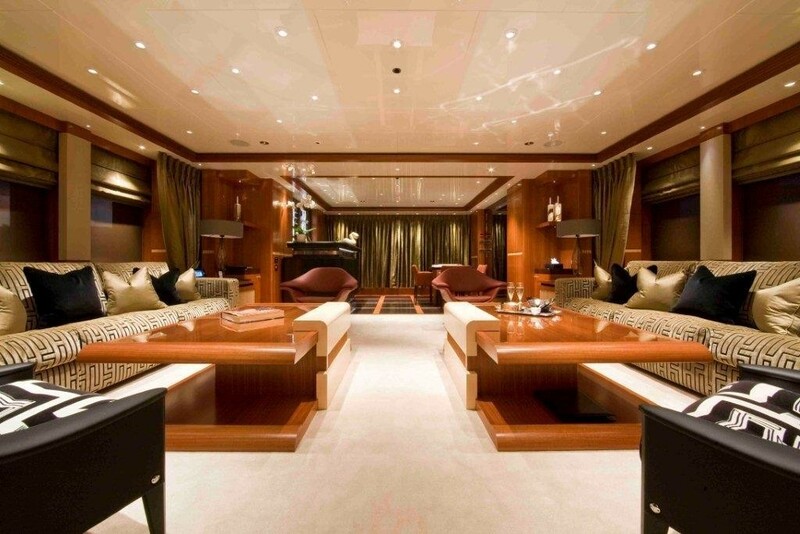 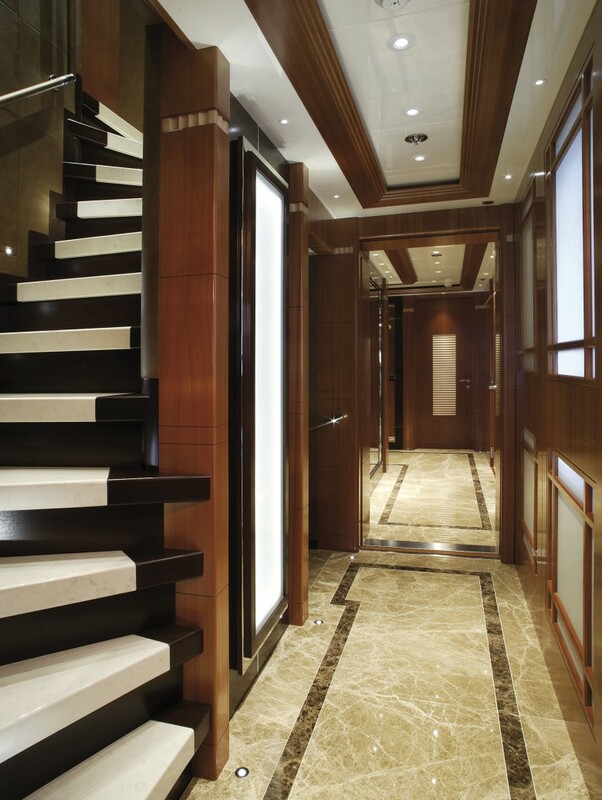 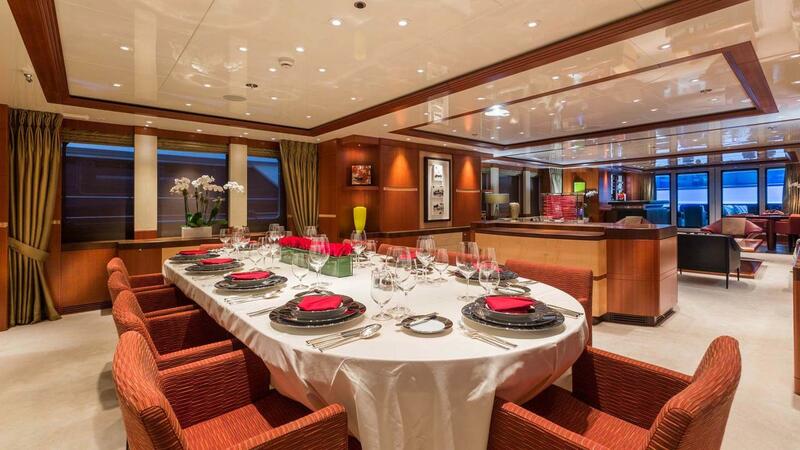 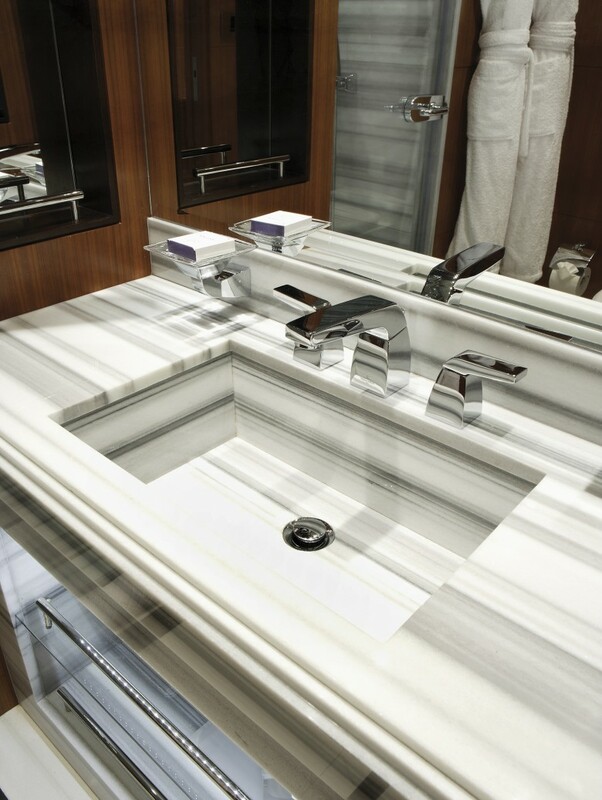 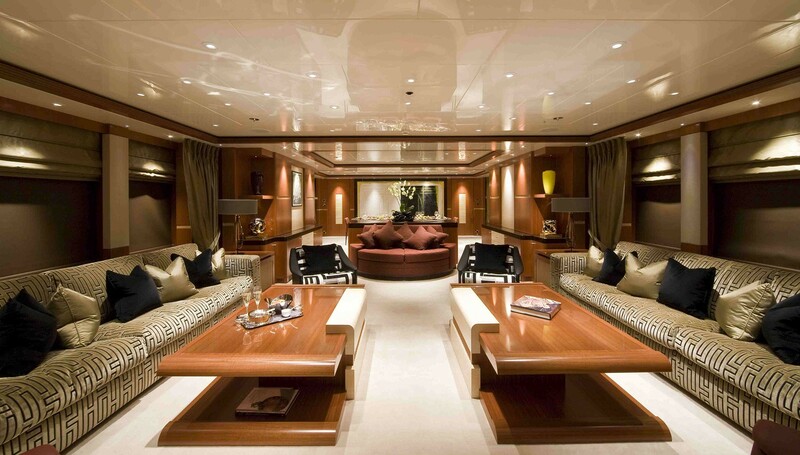 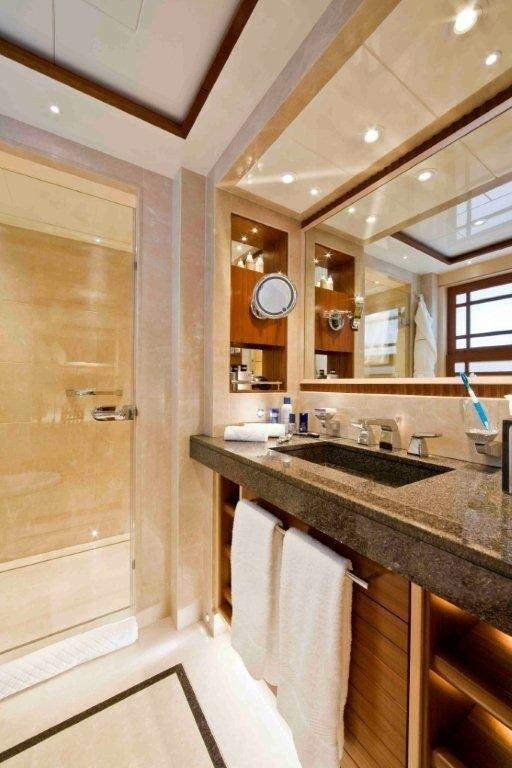 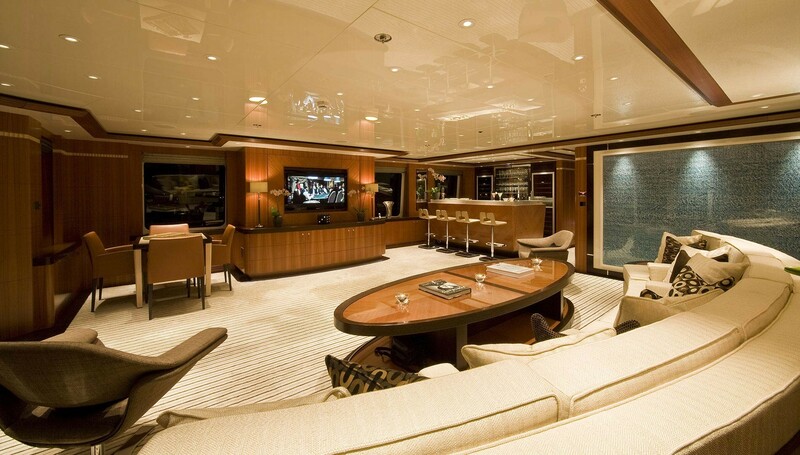 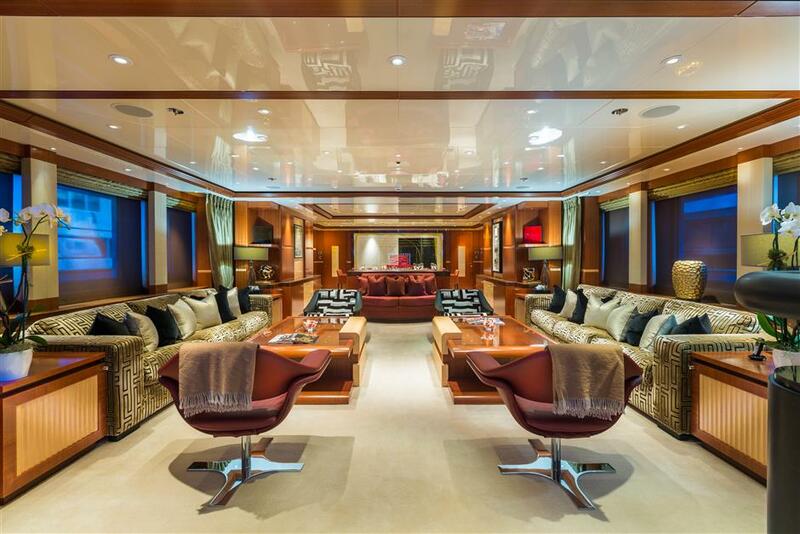 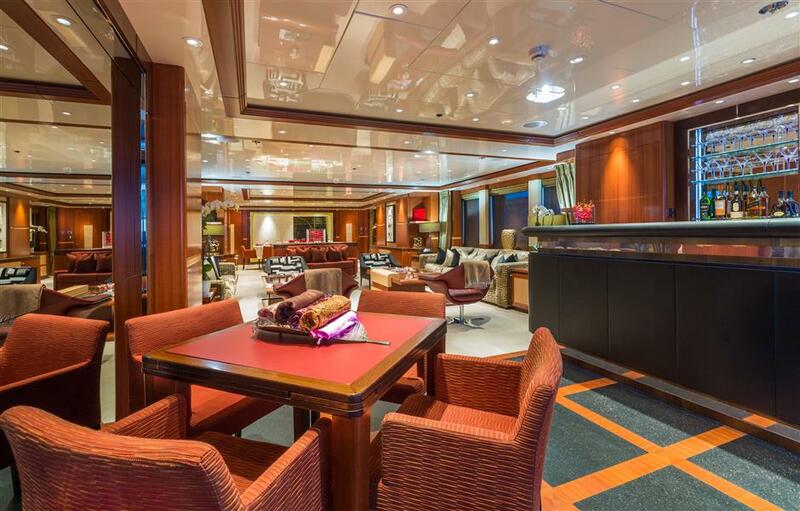 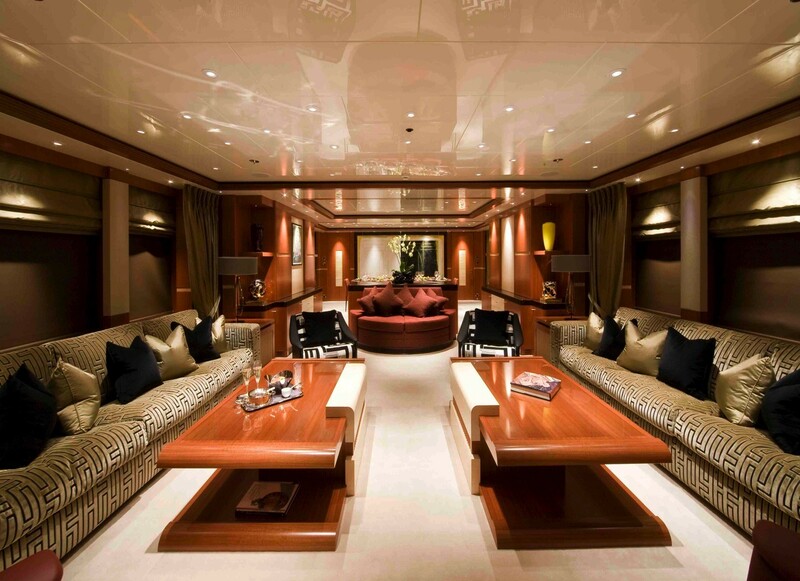 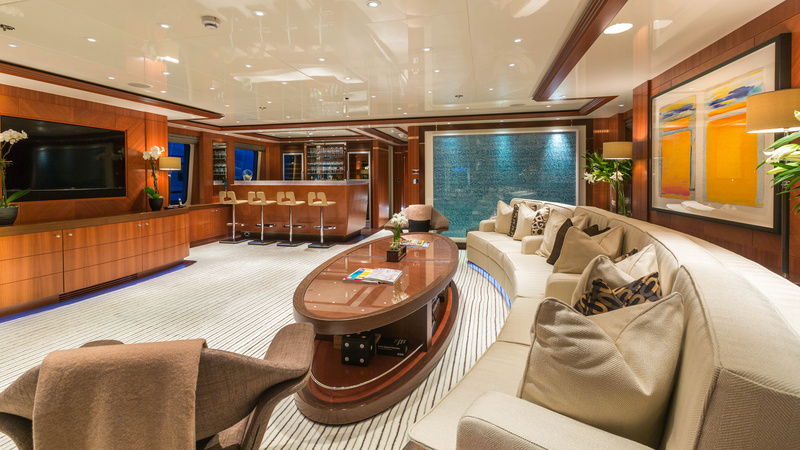 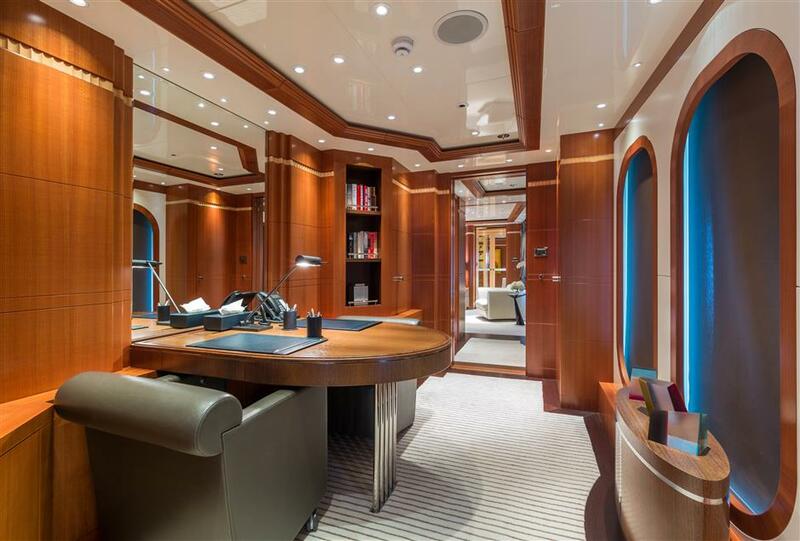 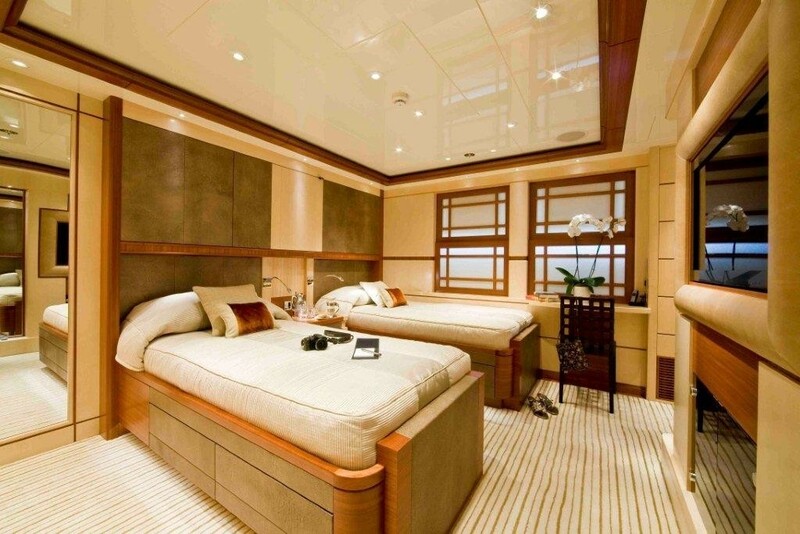 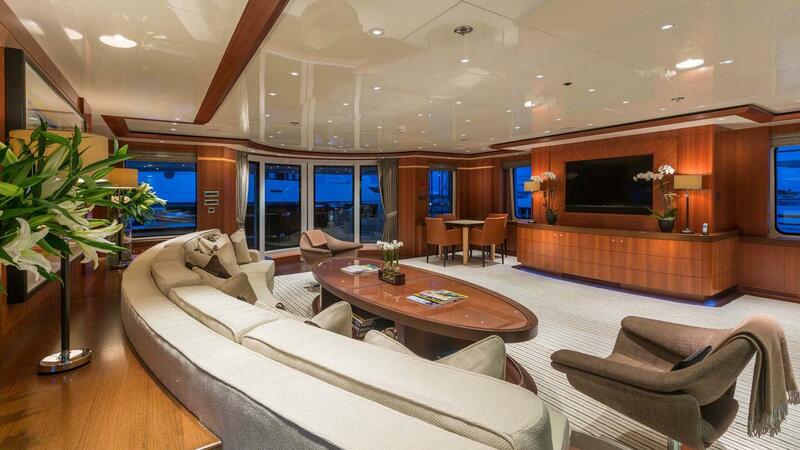 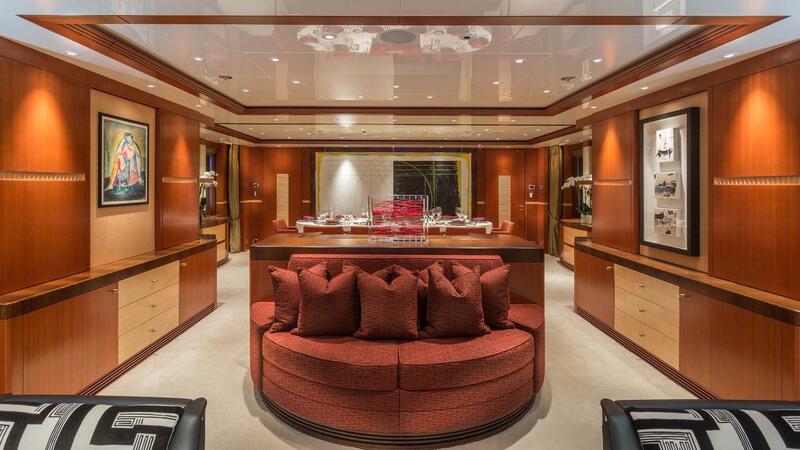 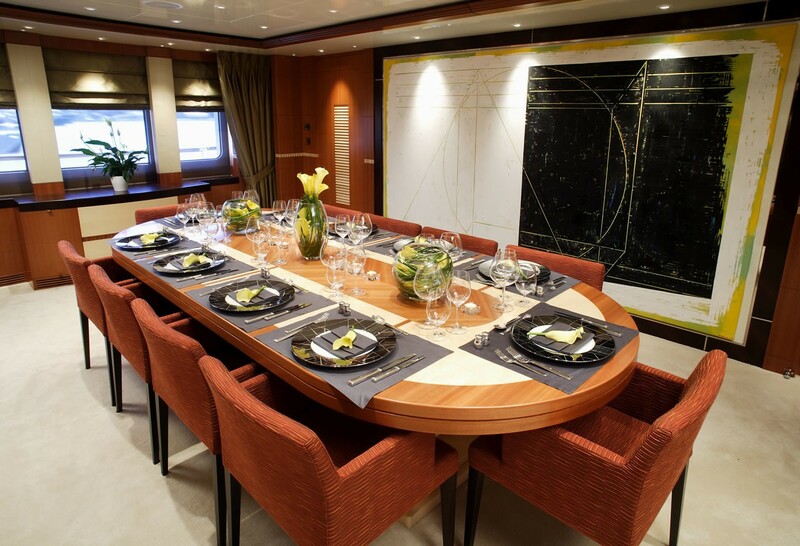 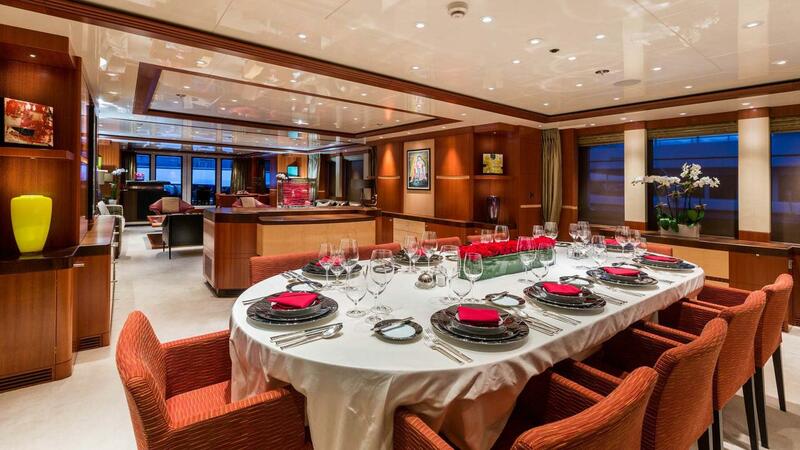 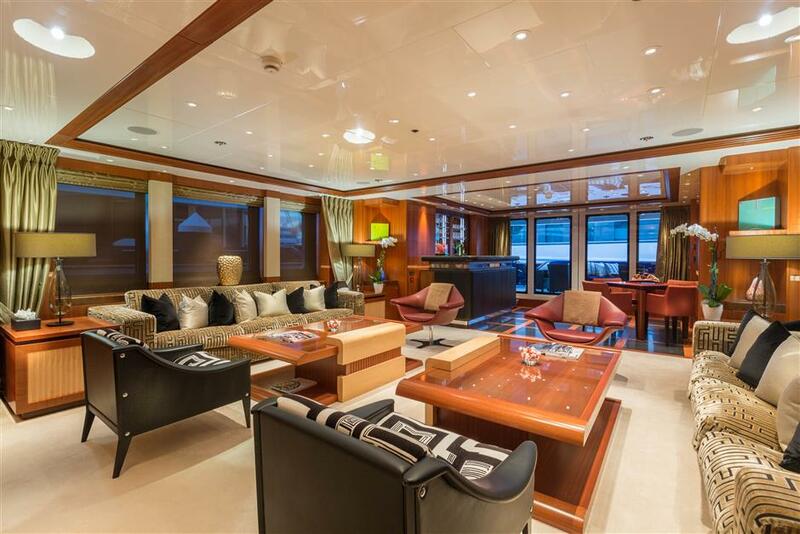 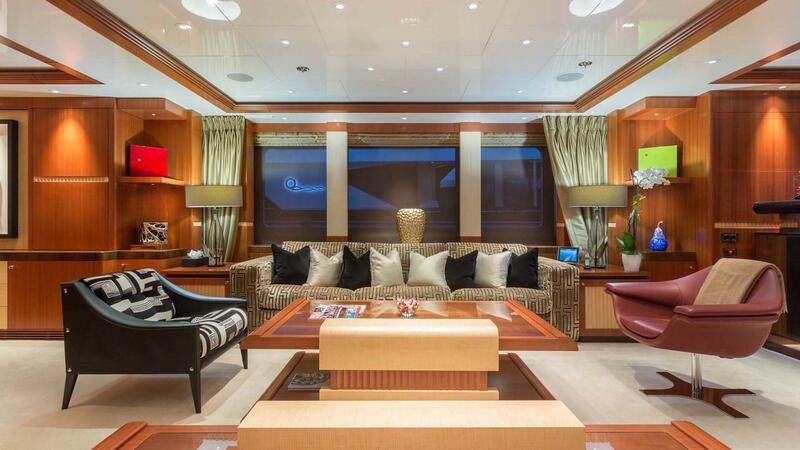 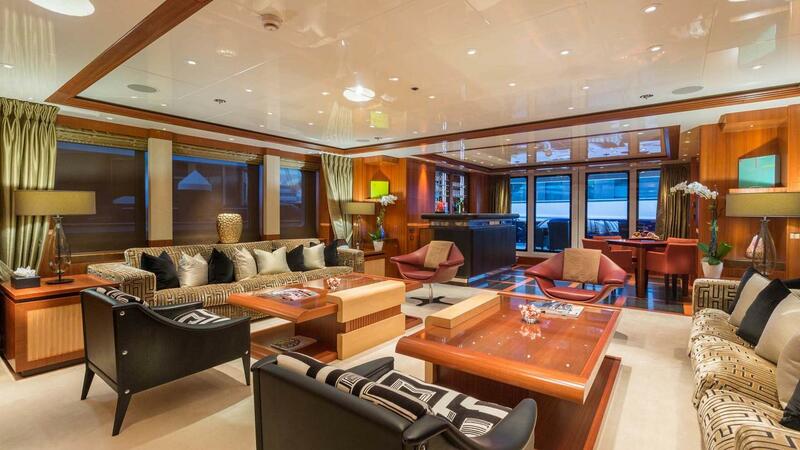 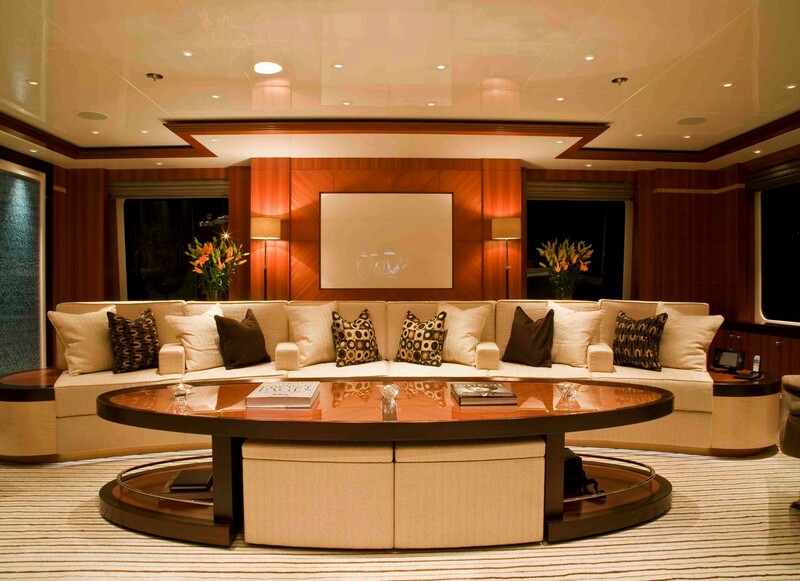 The yacht’s formal dining room is resided next to her main salon to incorporate excellent light and service benefits. 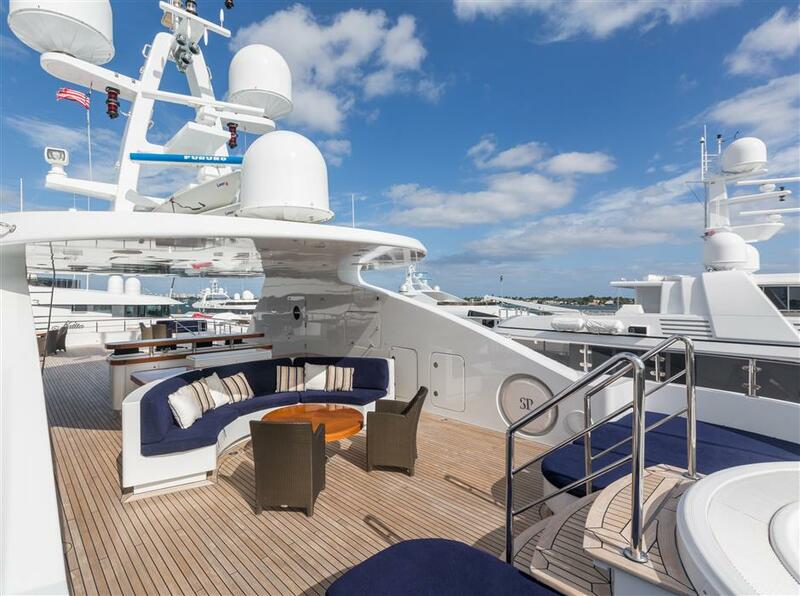 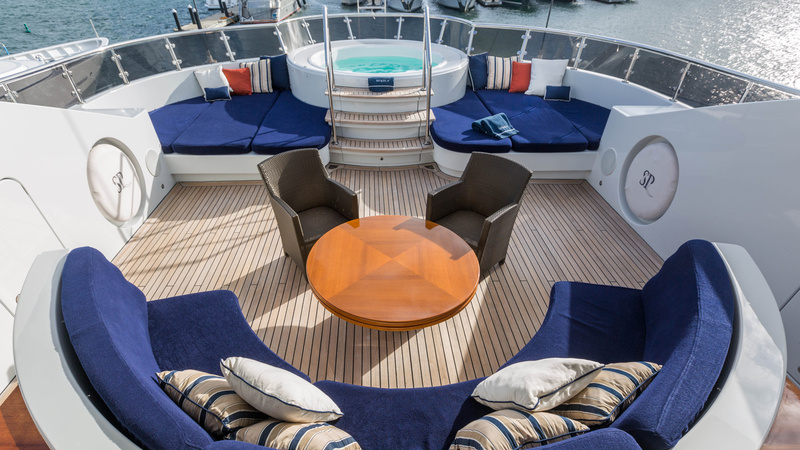 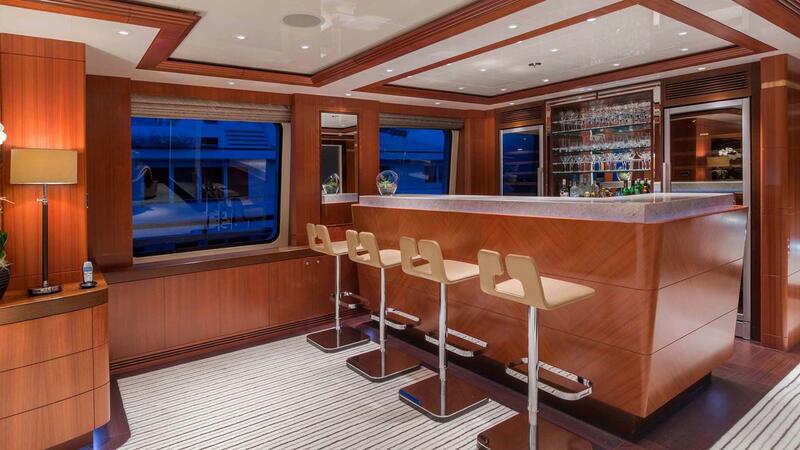 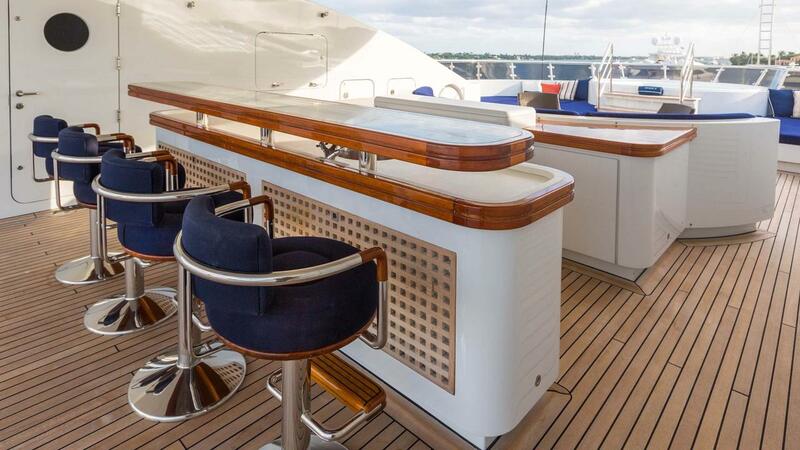 RARE FIND provides a generous exterior deck space which was custom designed for flexibility for various types of occasions. 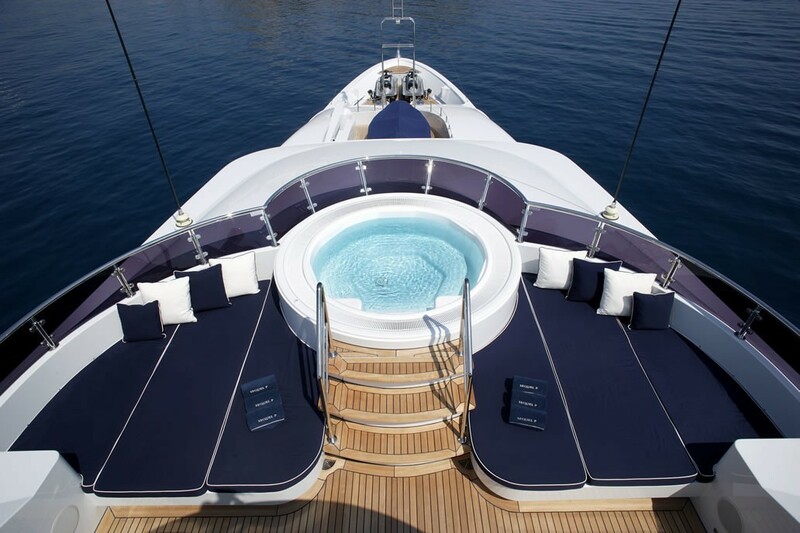 She has a spa pool and BBQ. 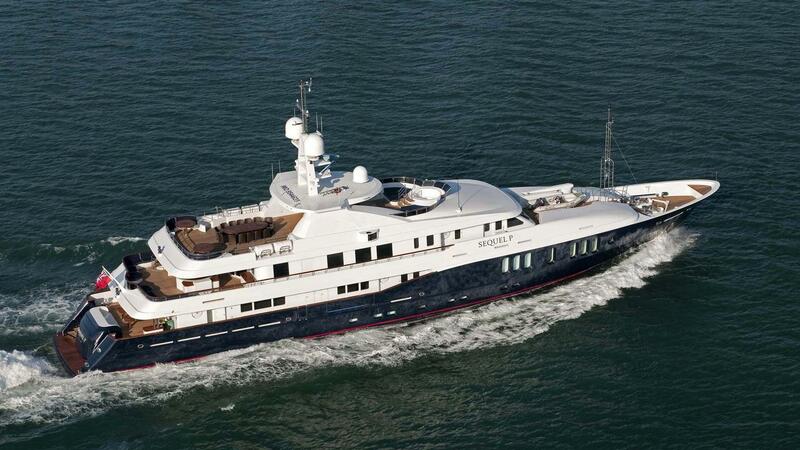 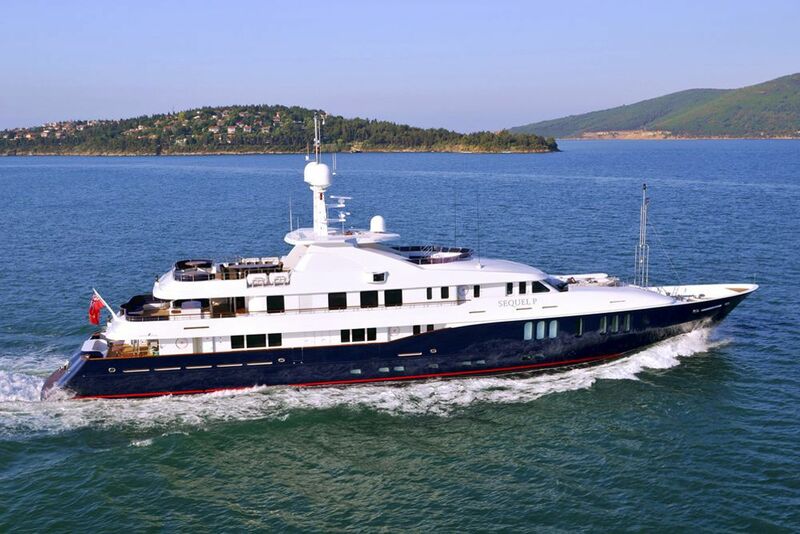 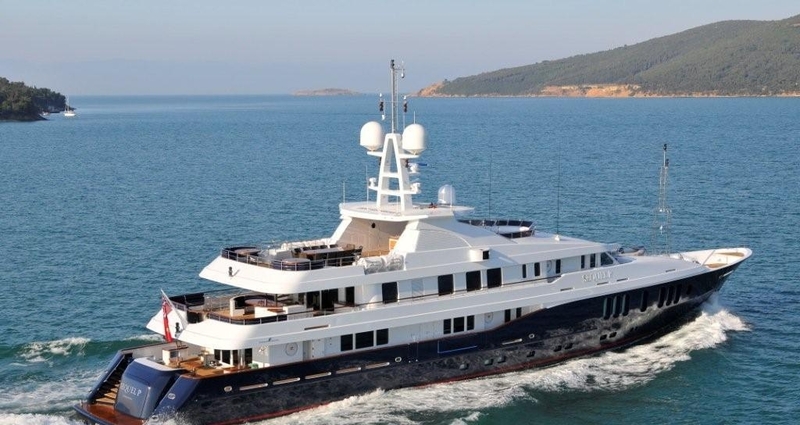 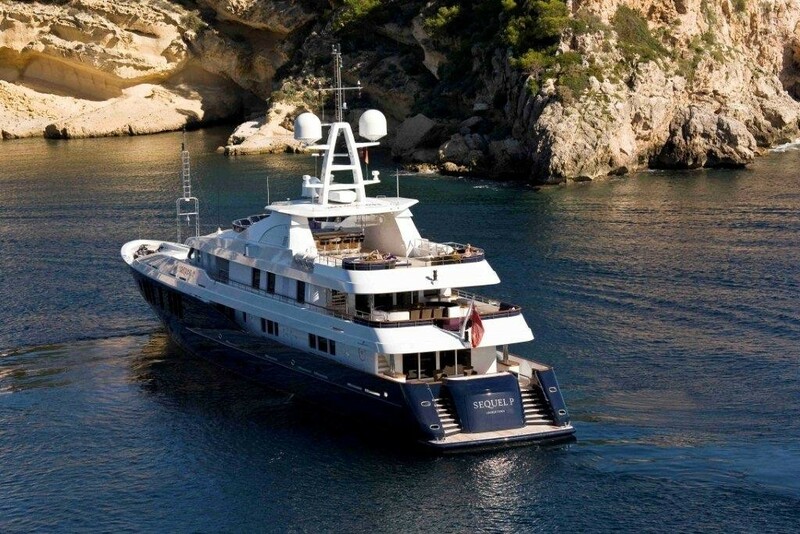 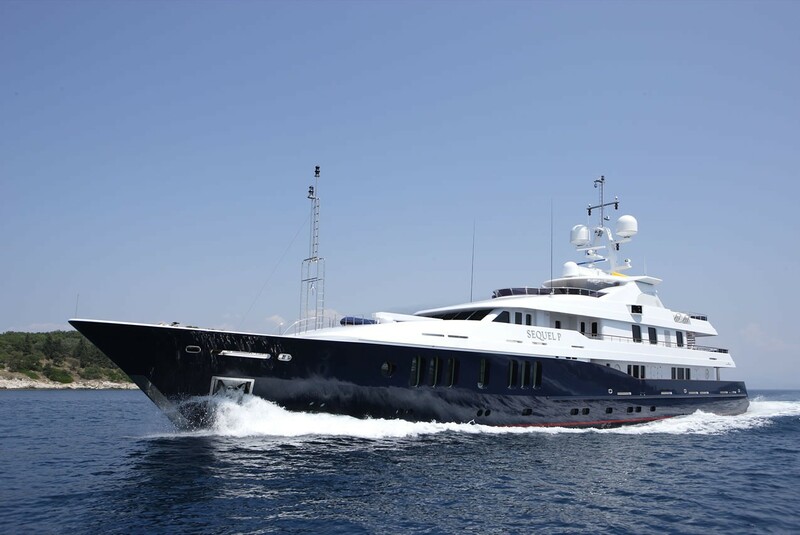 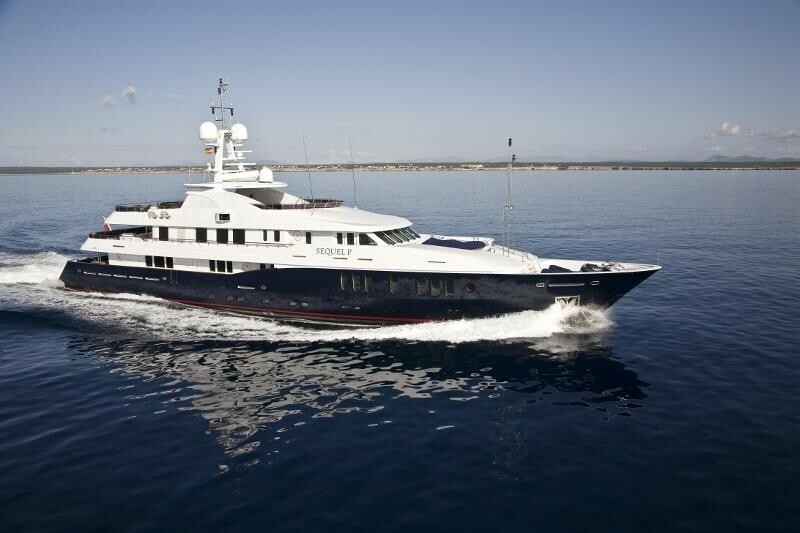 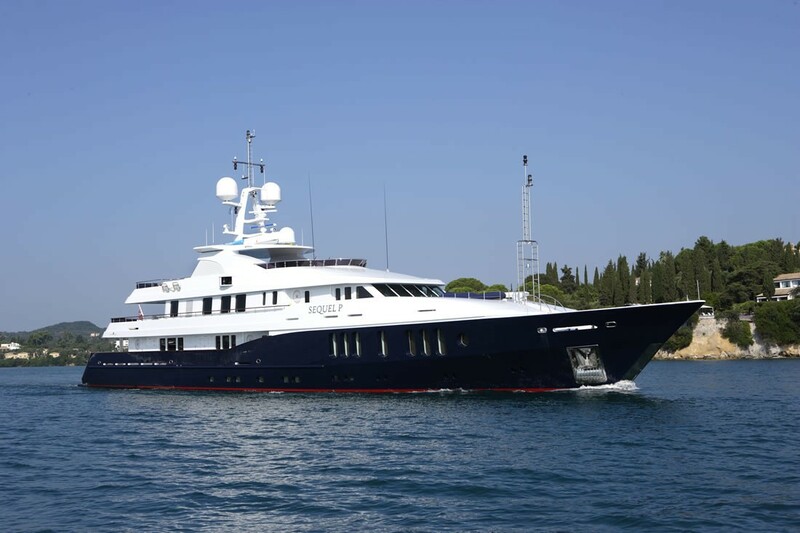 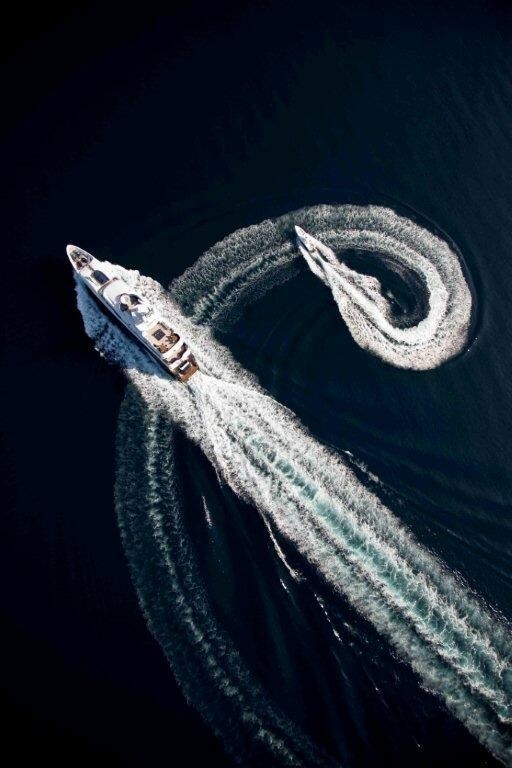 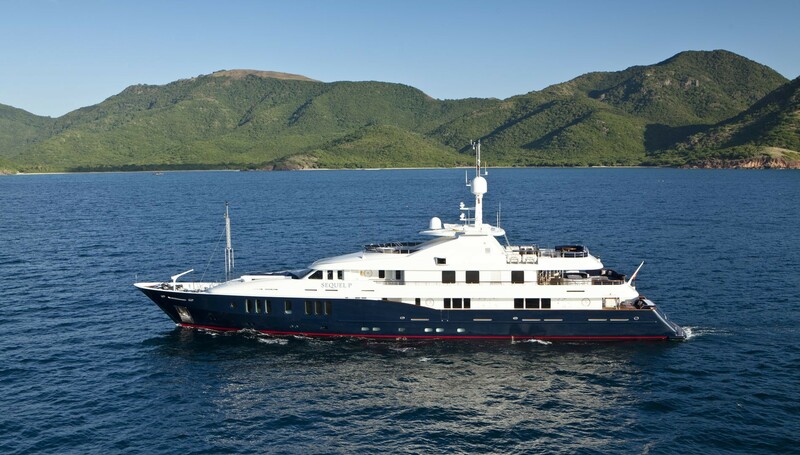 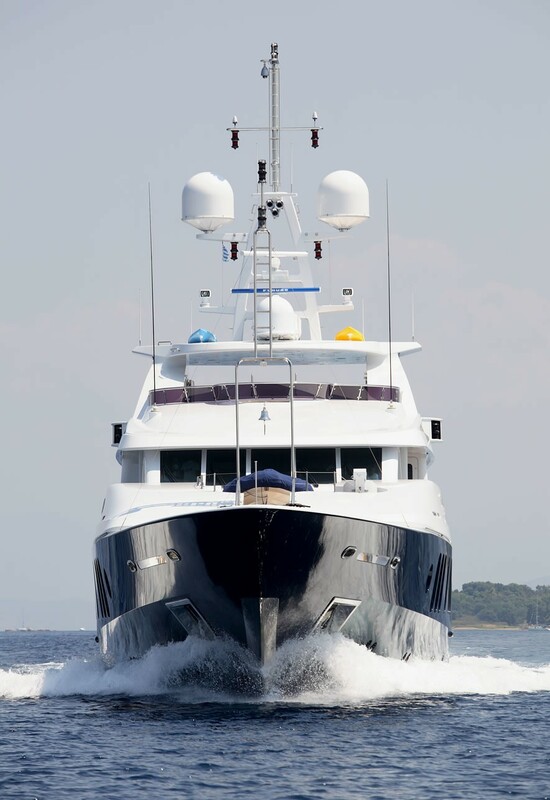 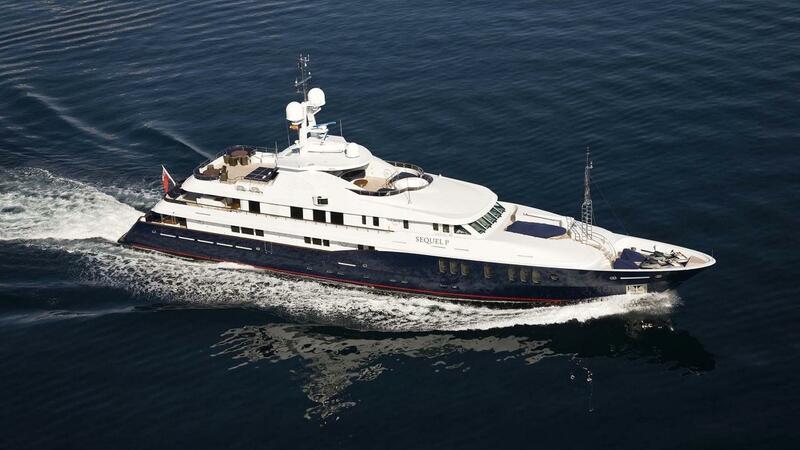 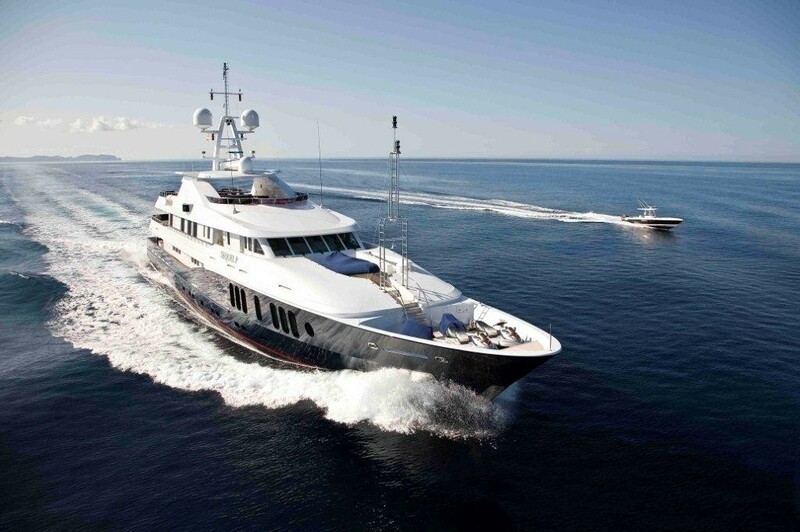 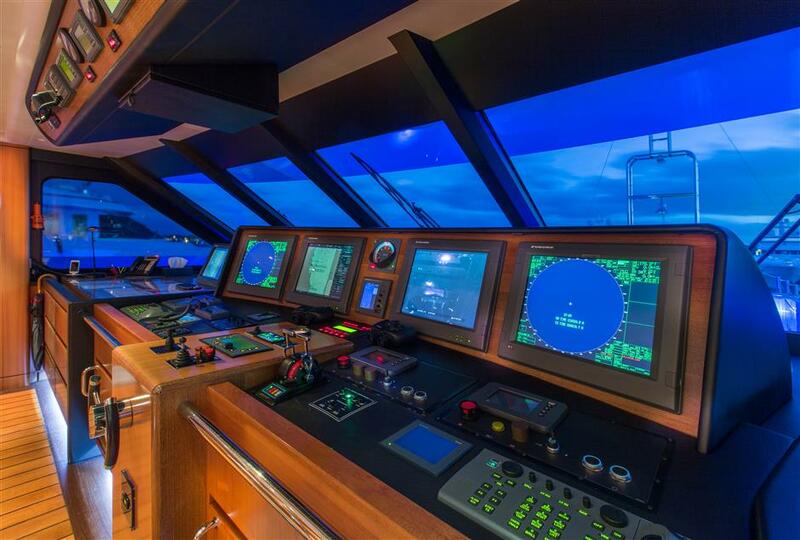 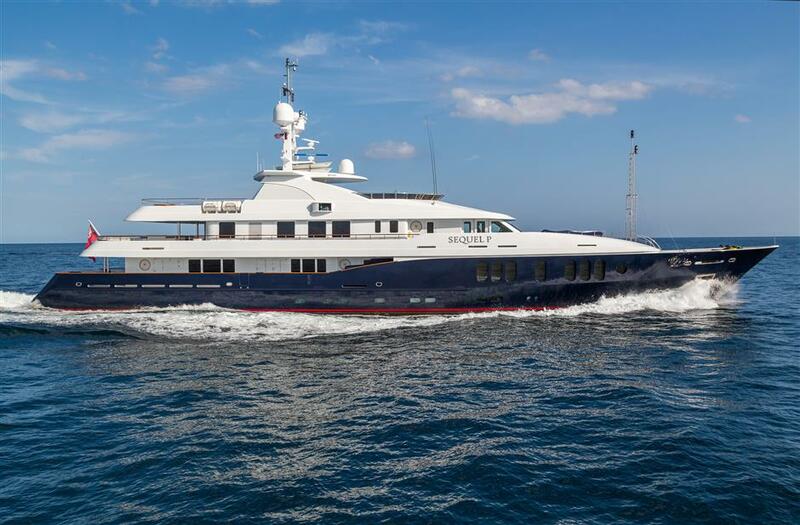 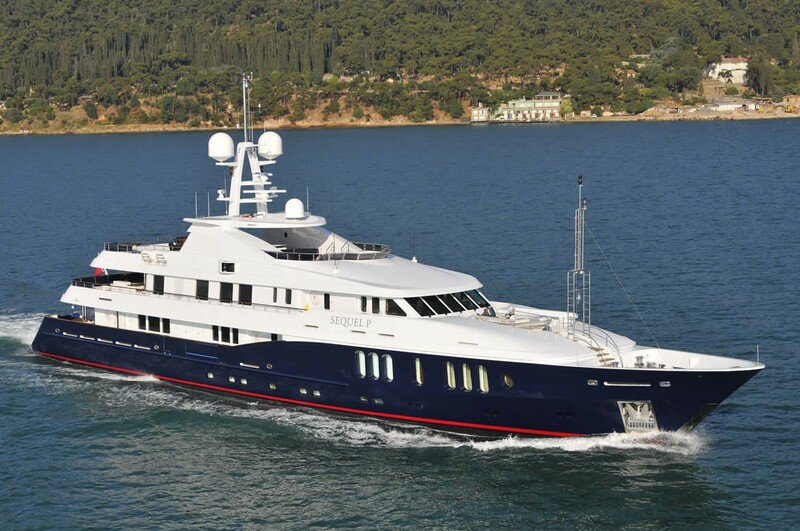 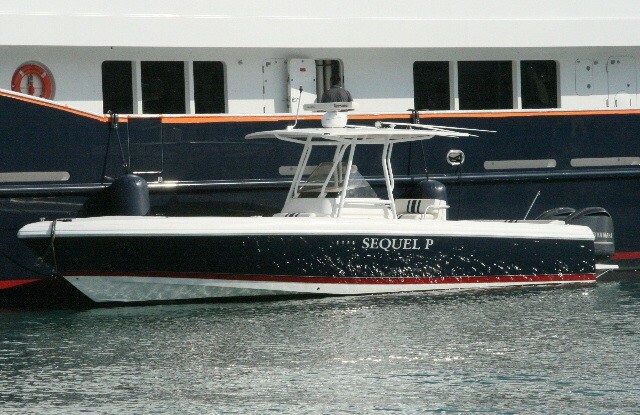 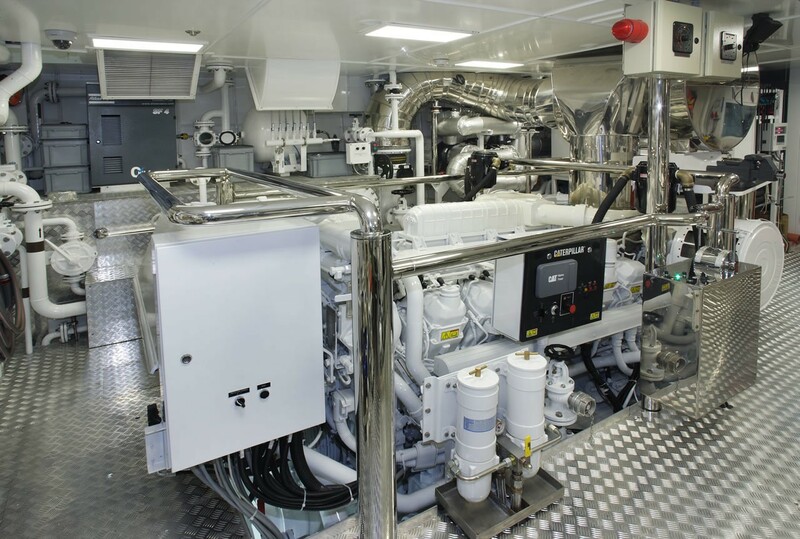 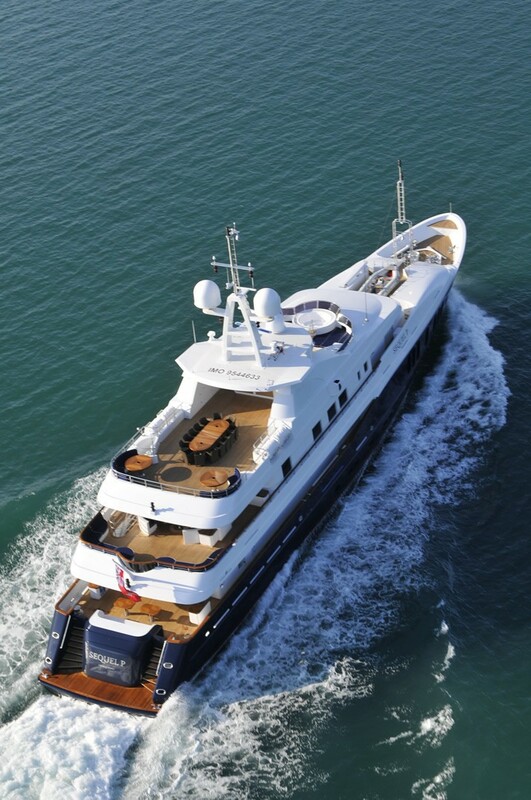 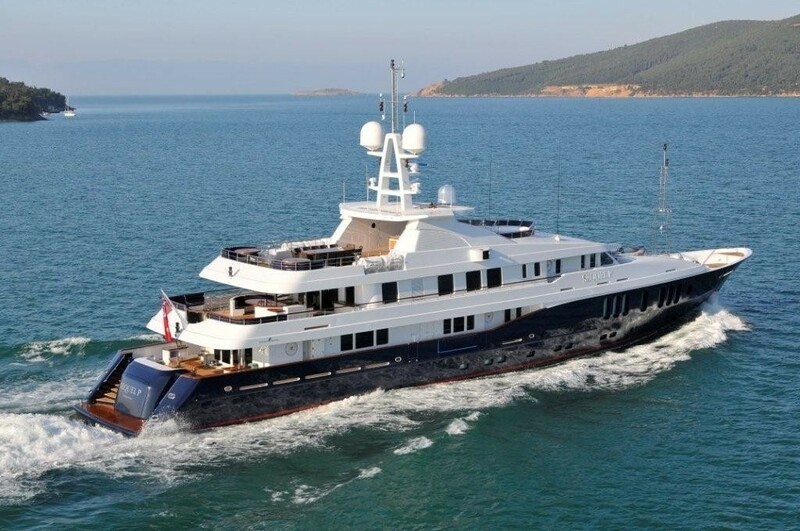 She has a stable and seaworthy hull form while reaching a top speed of 16 knots her Caterpillar diesel engines. 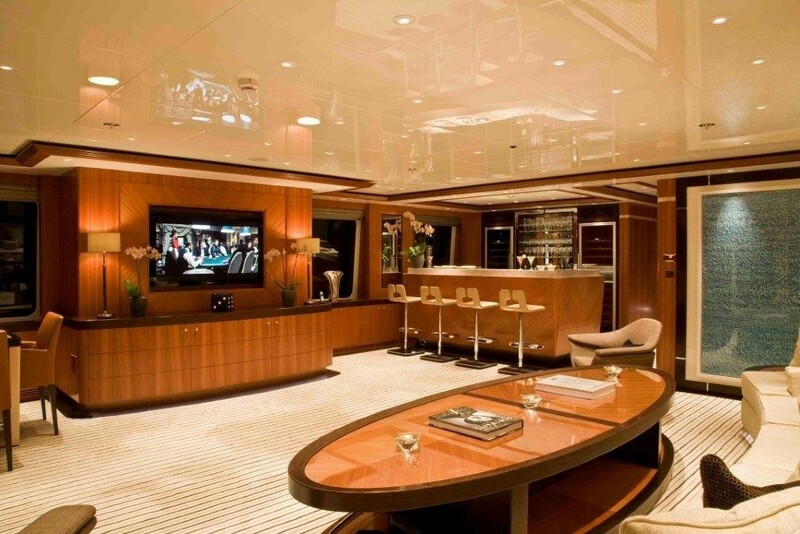 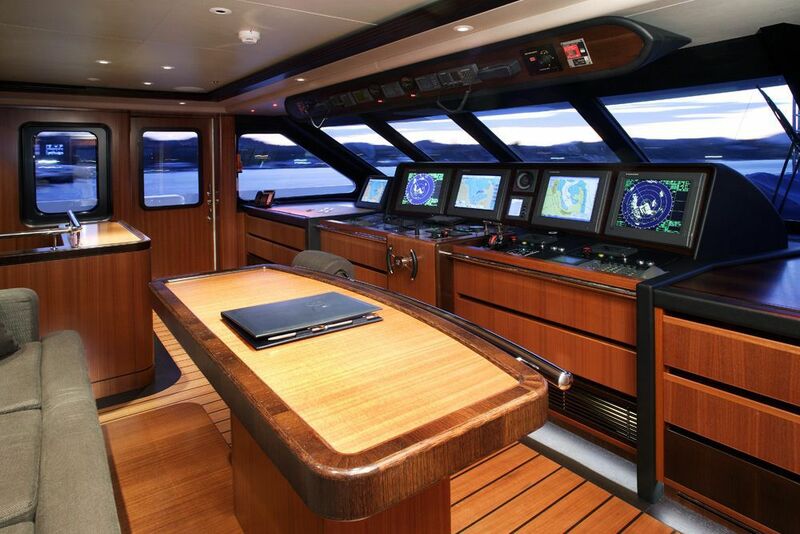 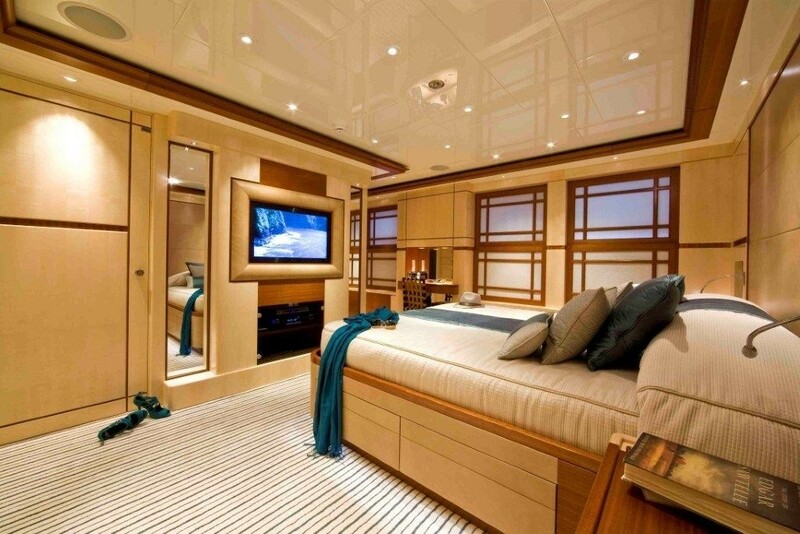 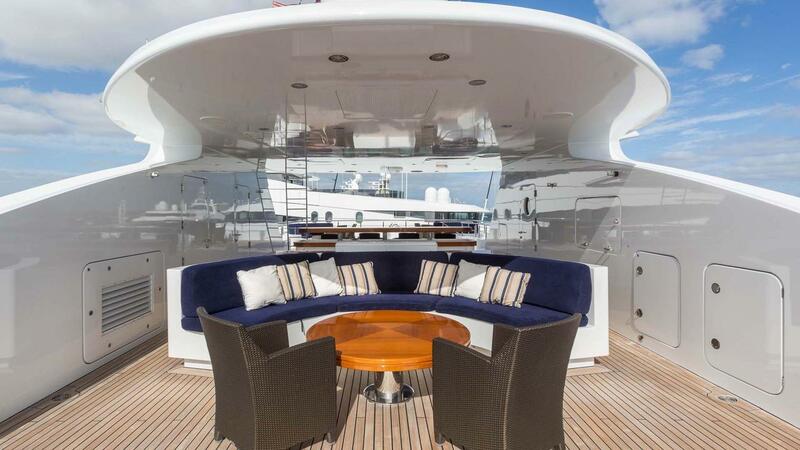 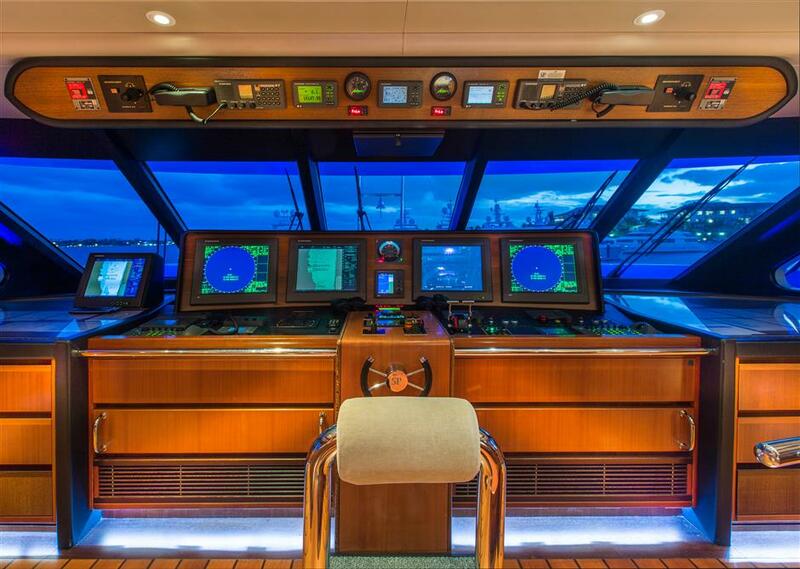 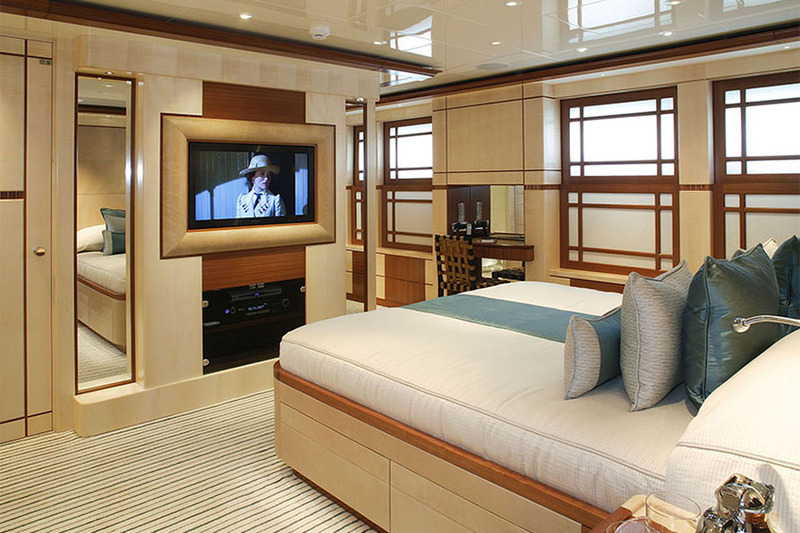 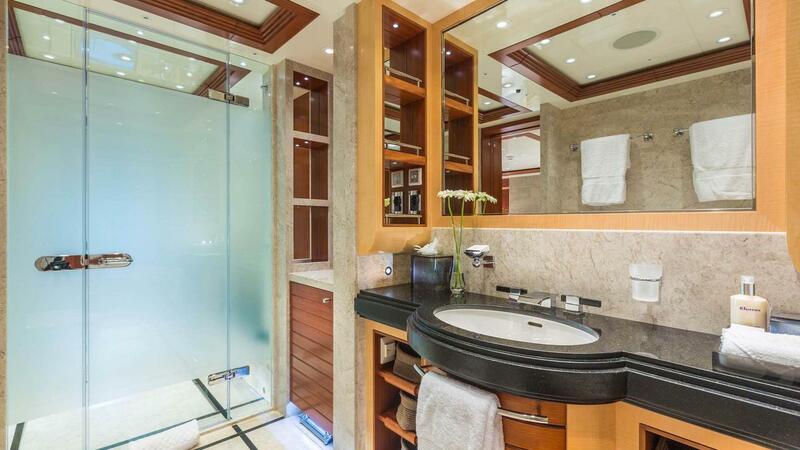 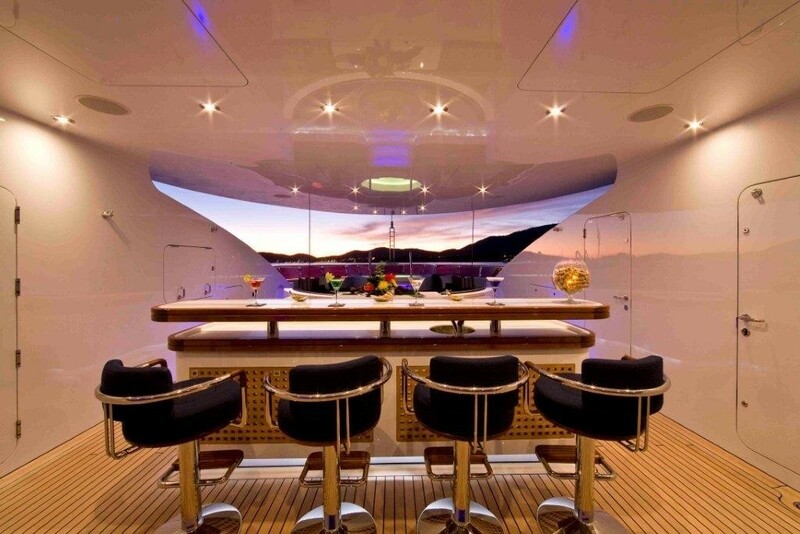 Yacht RARE FIND boasts sublime audiovisuals and a long list of garaged, water toys and tenders. 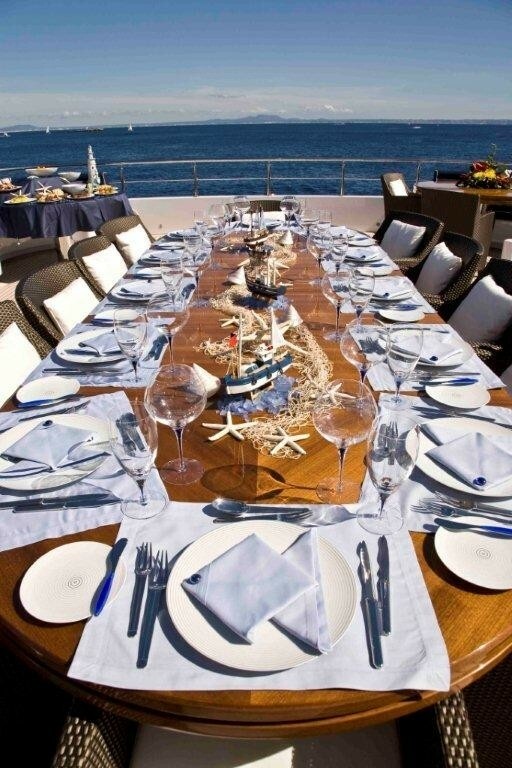 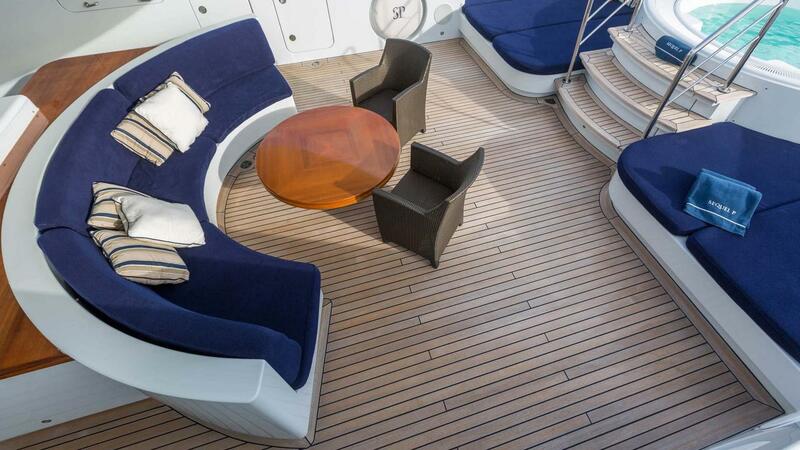 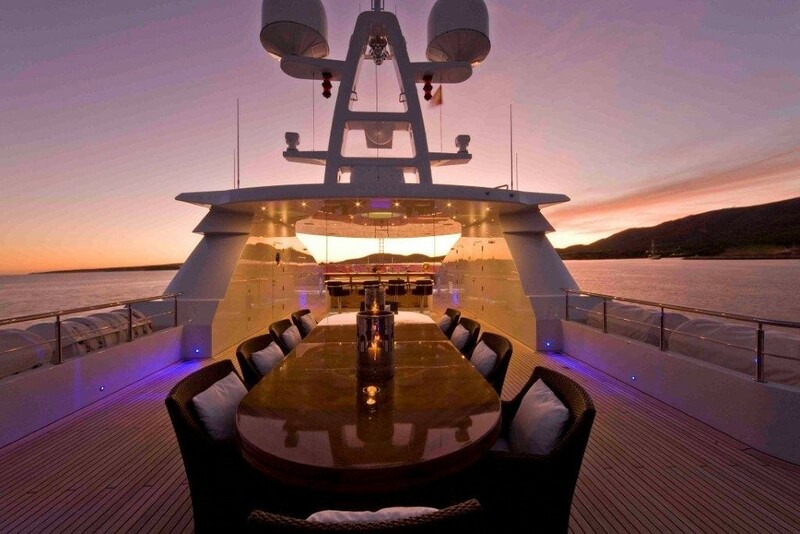 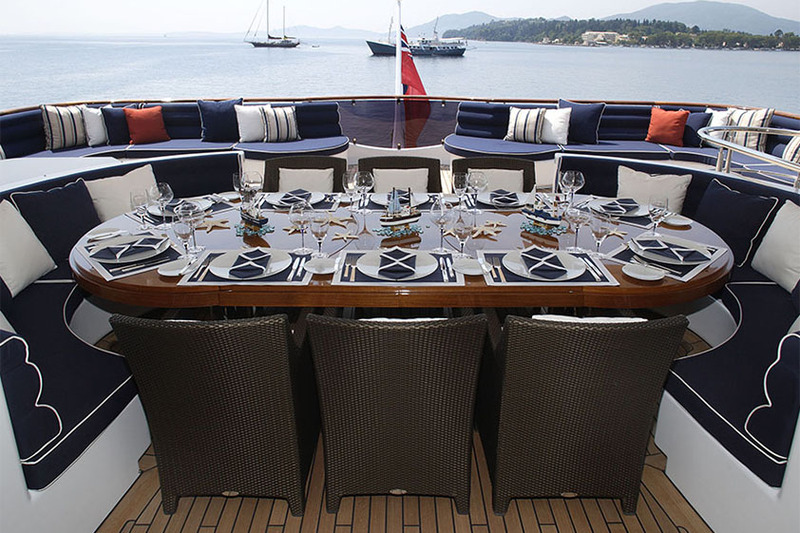 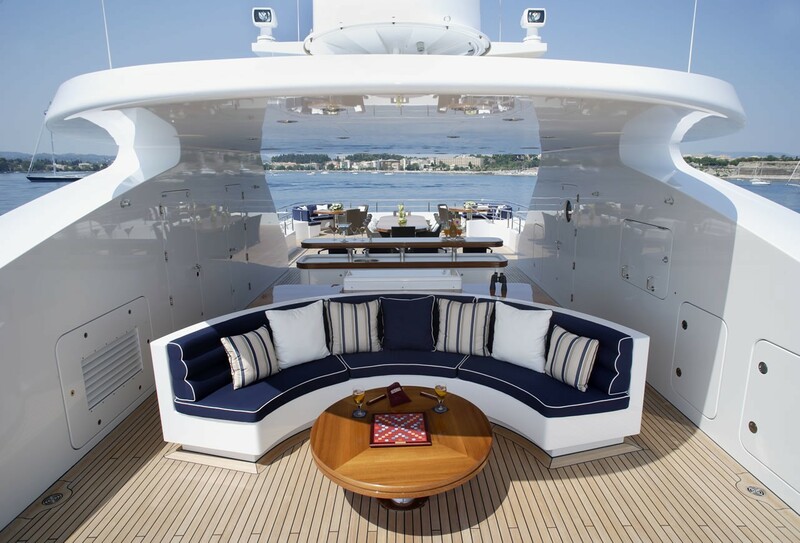 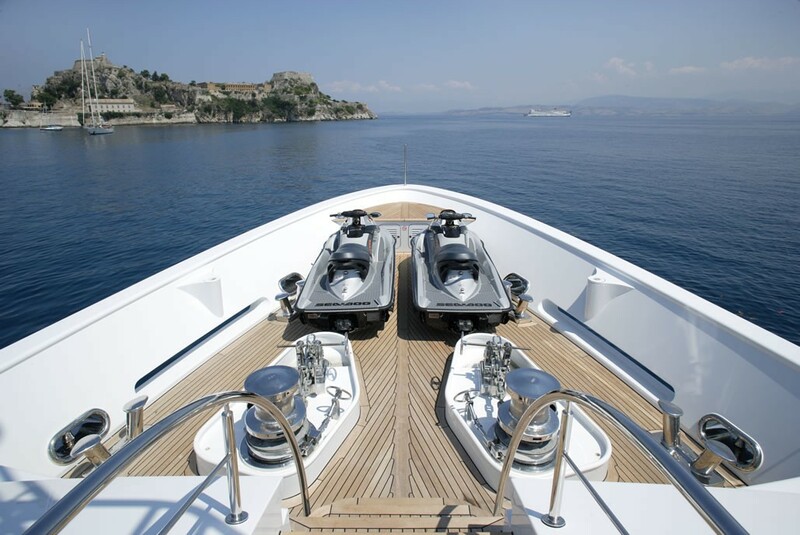 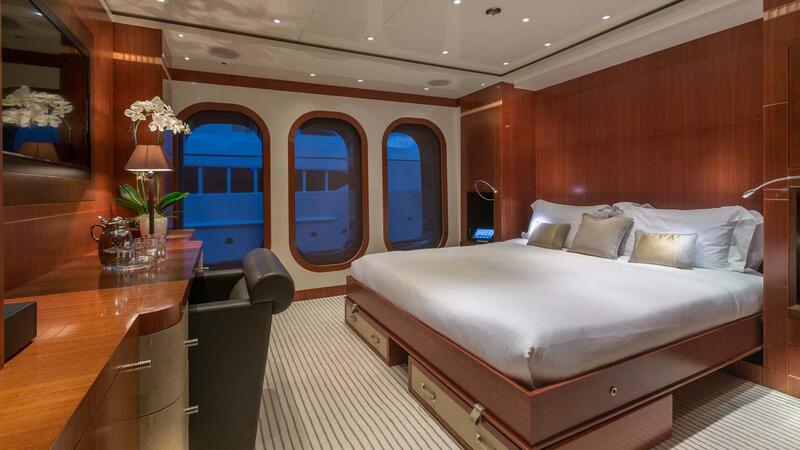 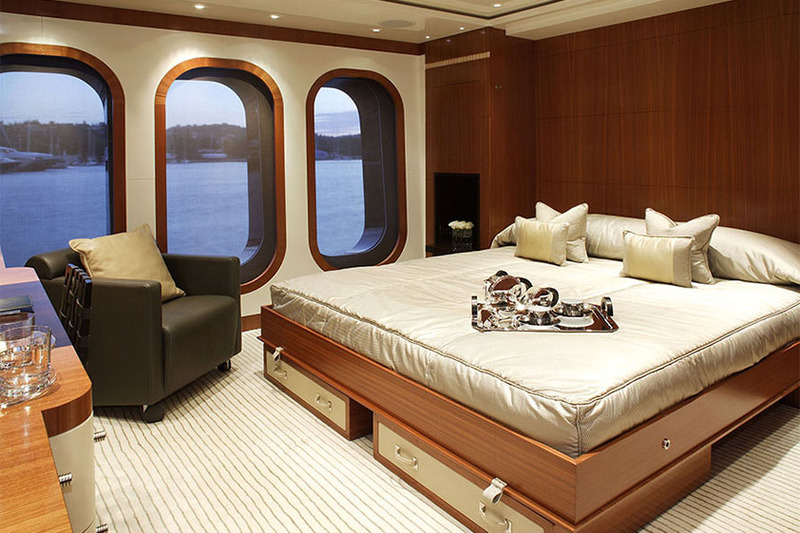 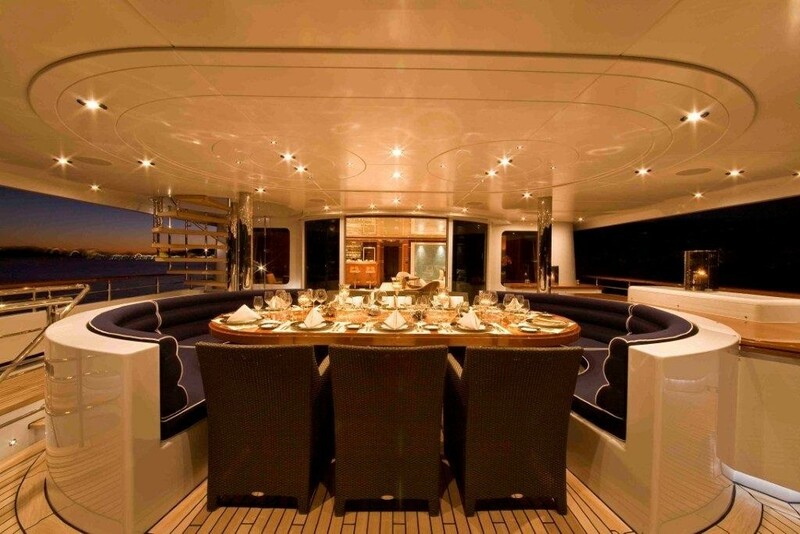 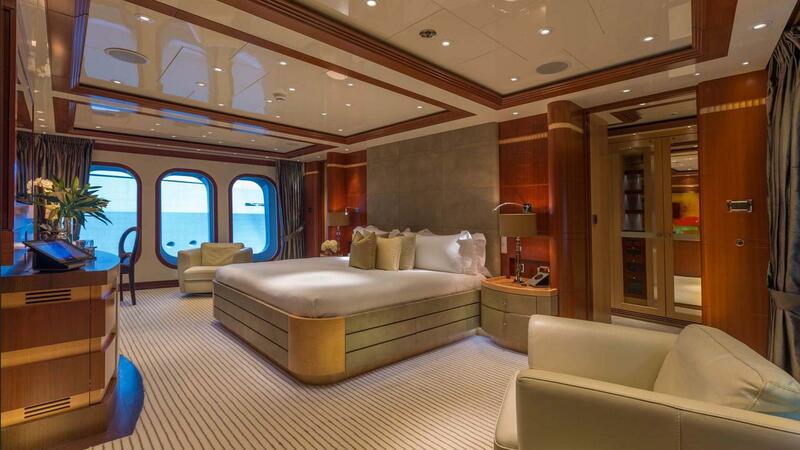 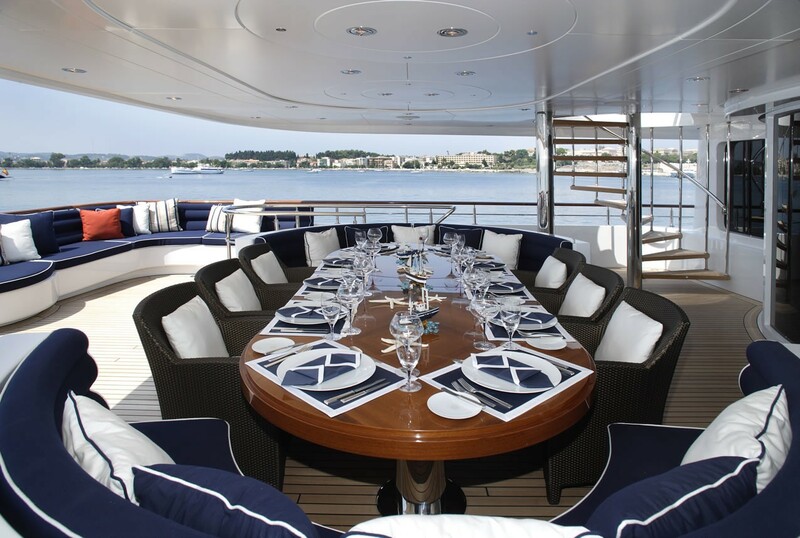 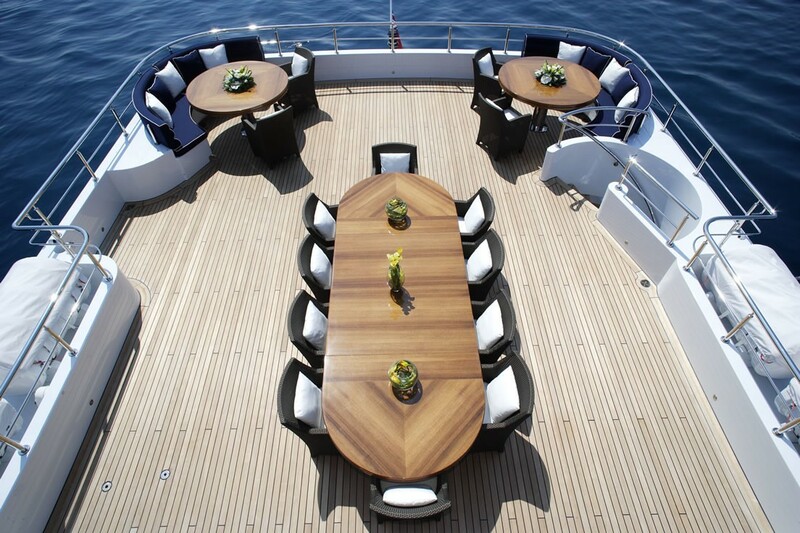 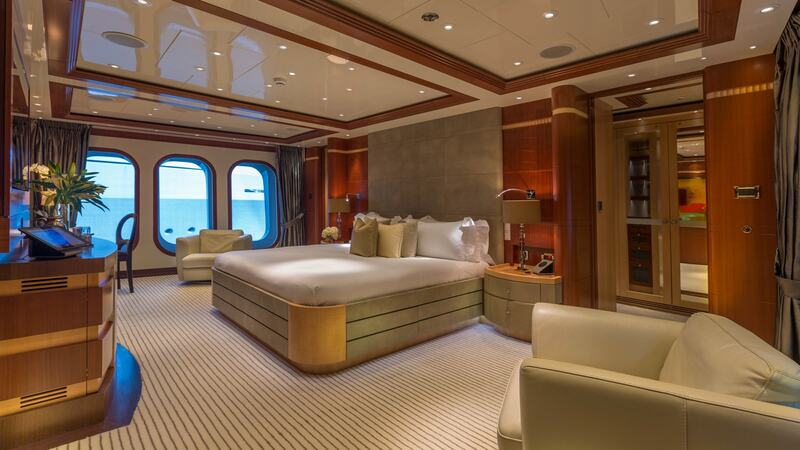 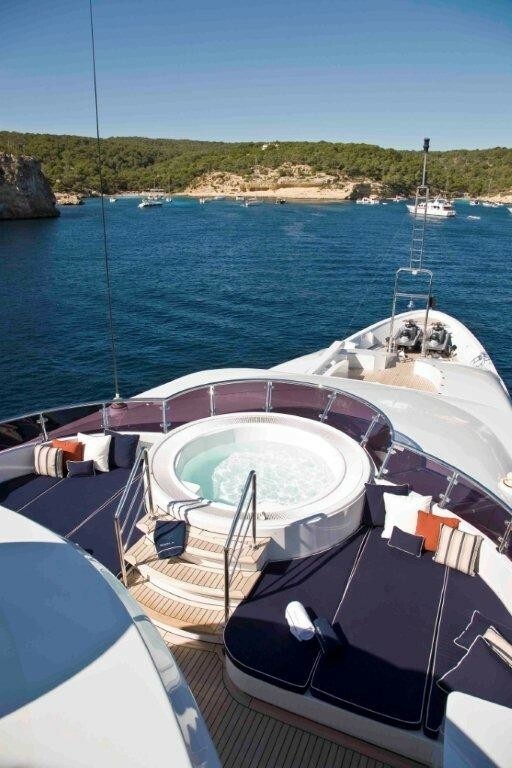 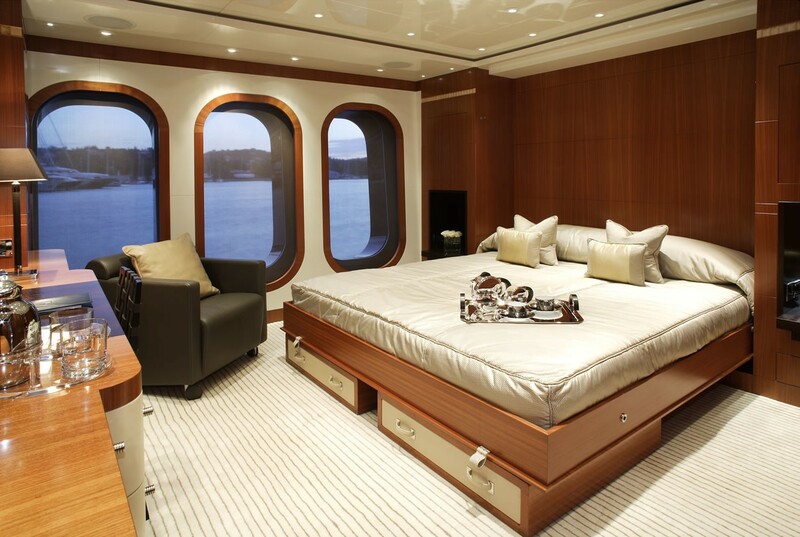 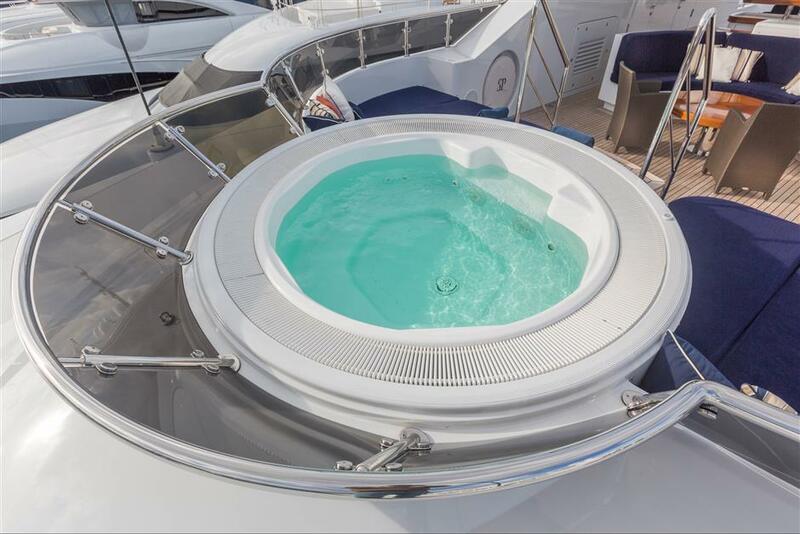 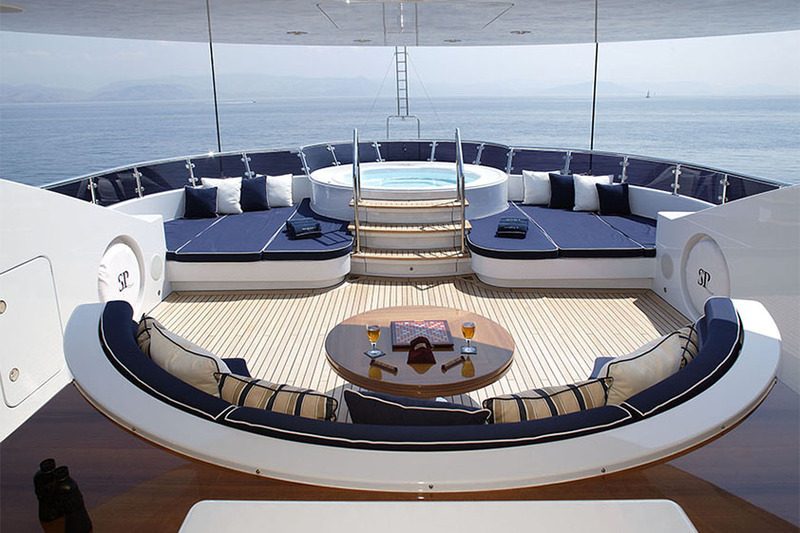 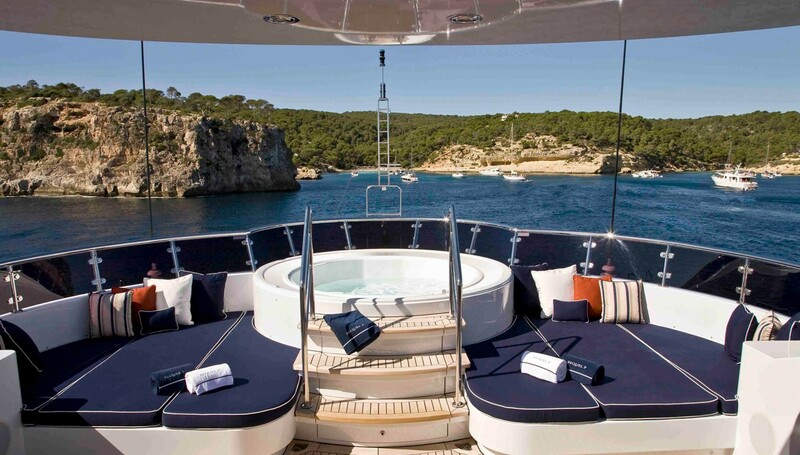 Up to 12 guests can be accommodated on the luxury yacht. 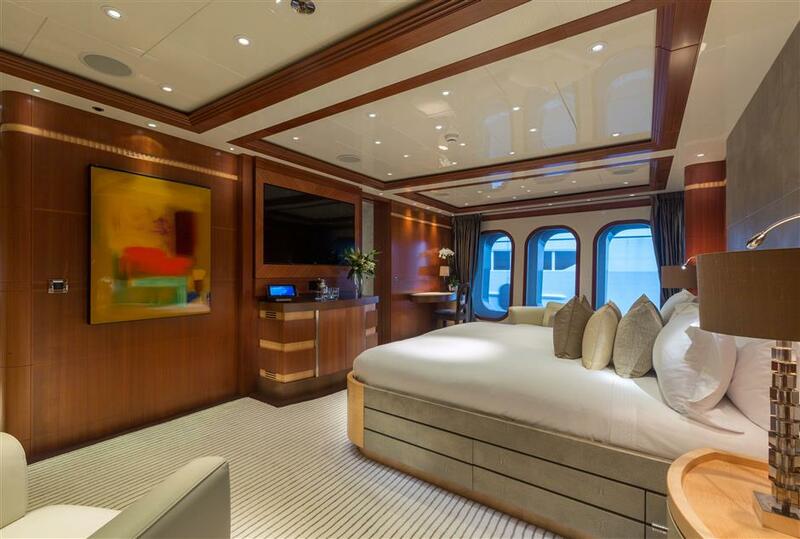 She has an owner’s master suite up on her main deck so as to take advantage of the wonderful ocean vista through full height windows. 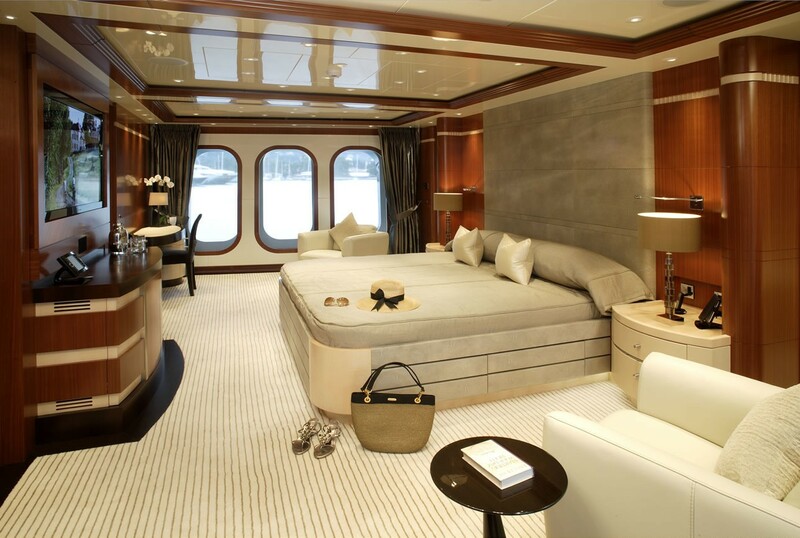 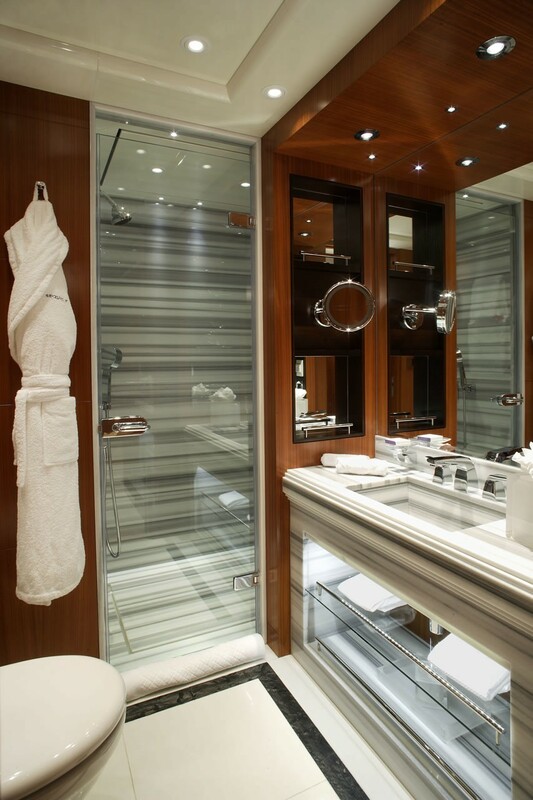 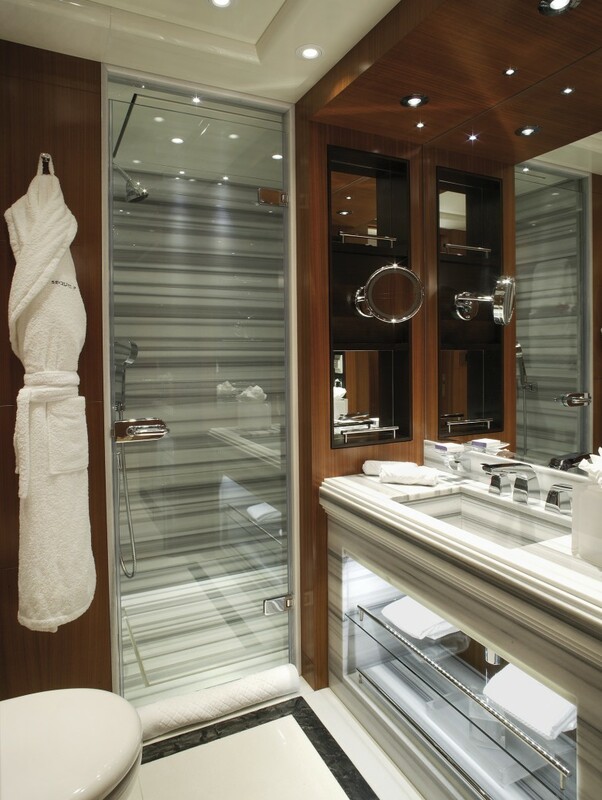 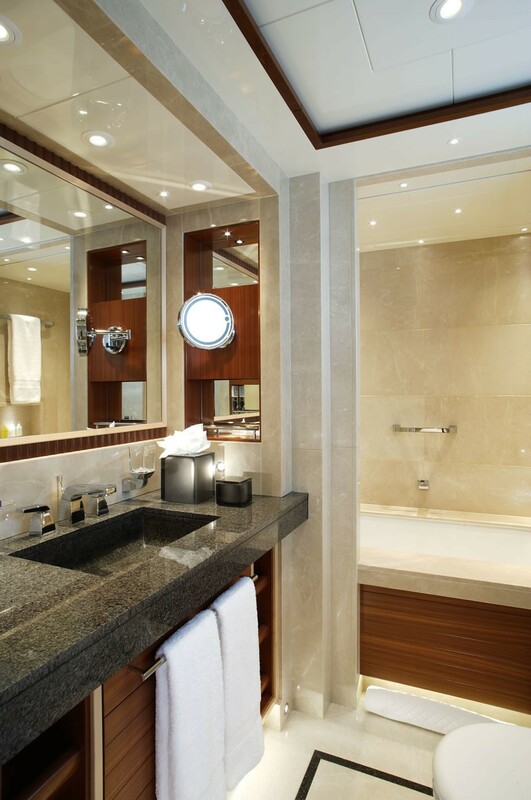 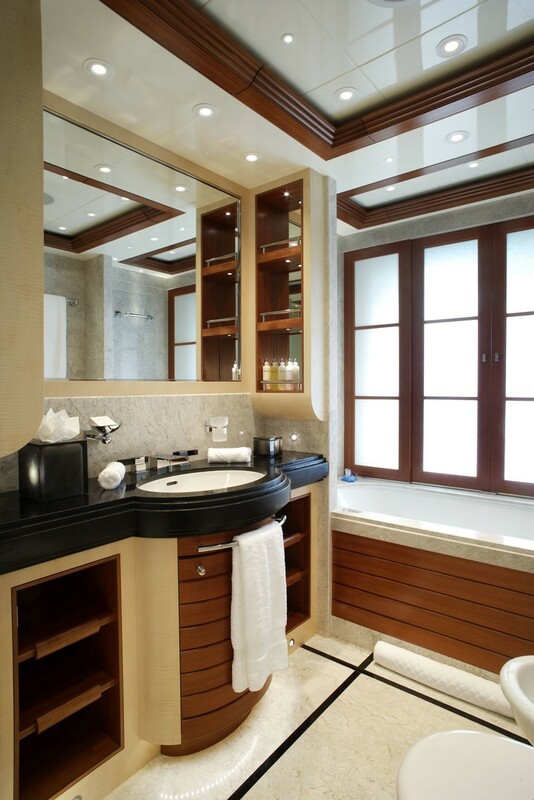 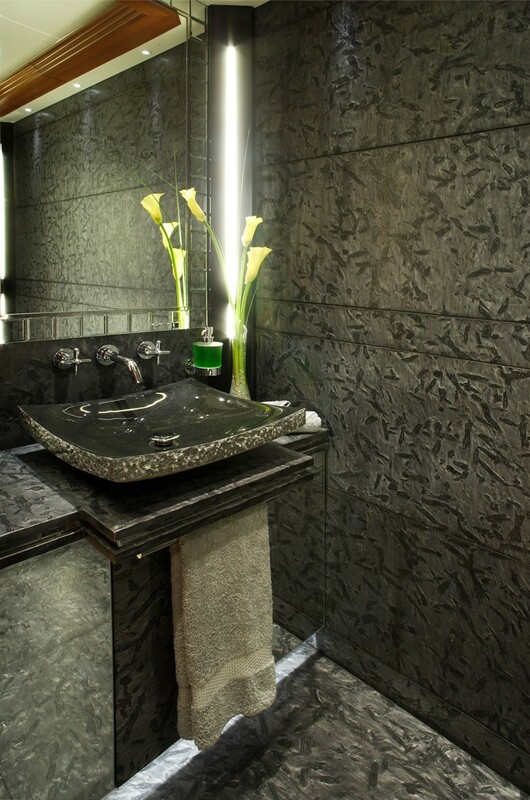 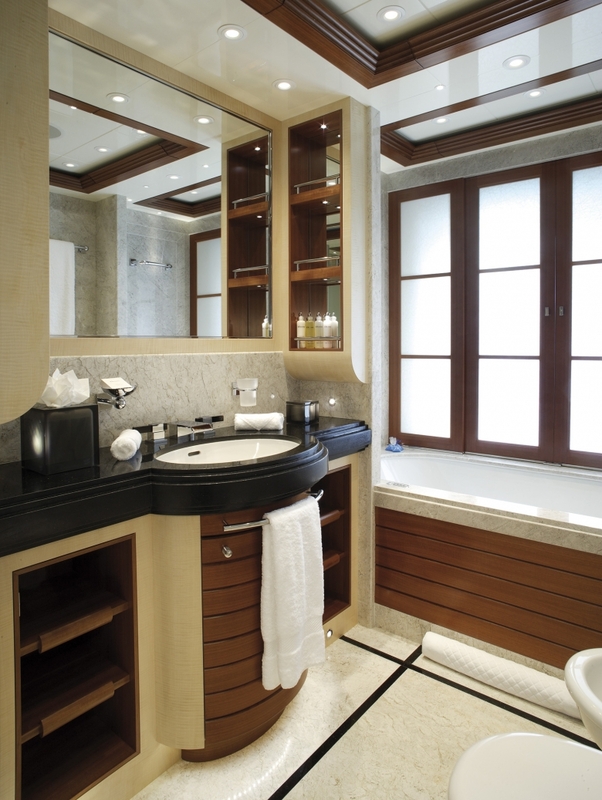 The suite includes a private office and walk-in wardrobes and a large bathroom ensuite. 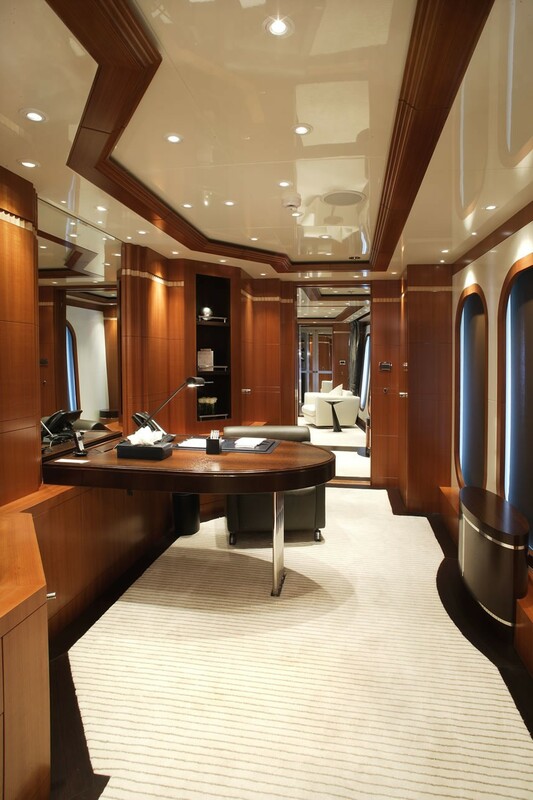 With added flexibility, the VIP cabin is able to be converted if necessary into another general office. 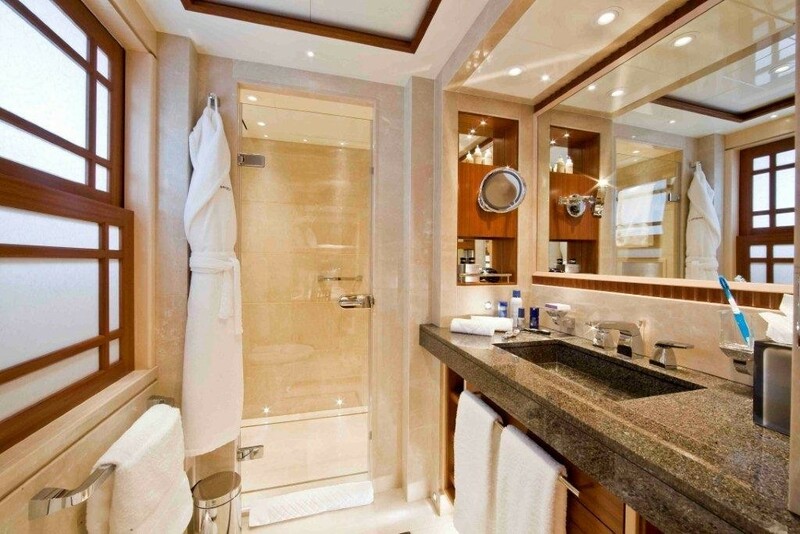 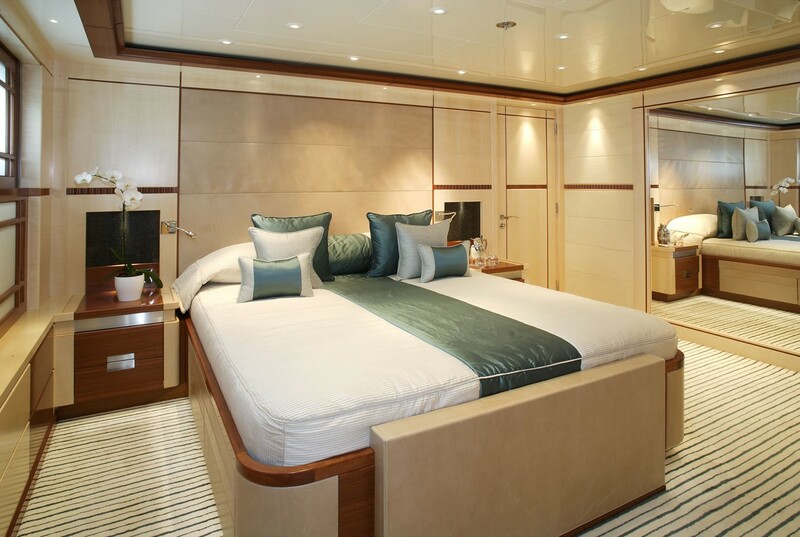 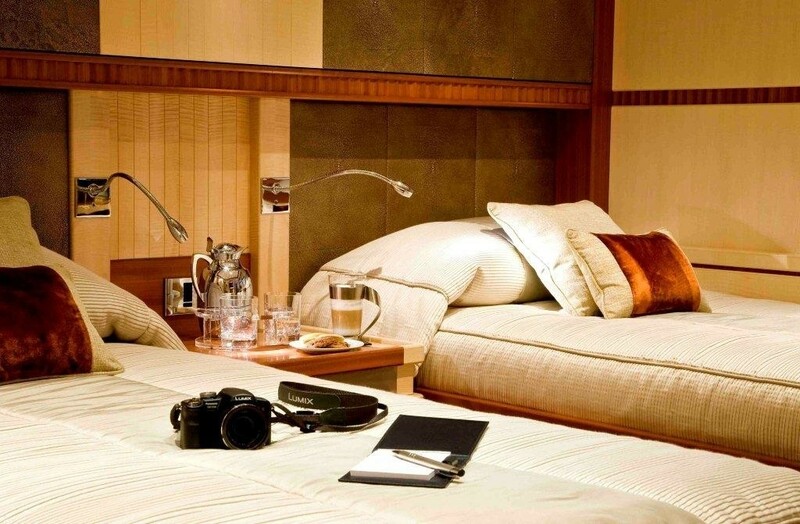 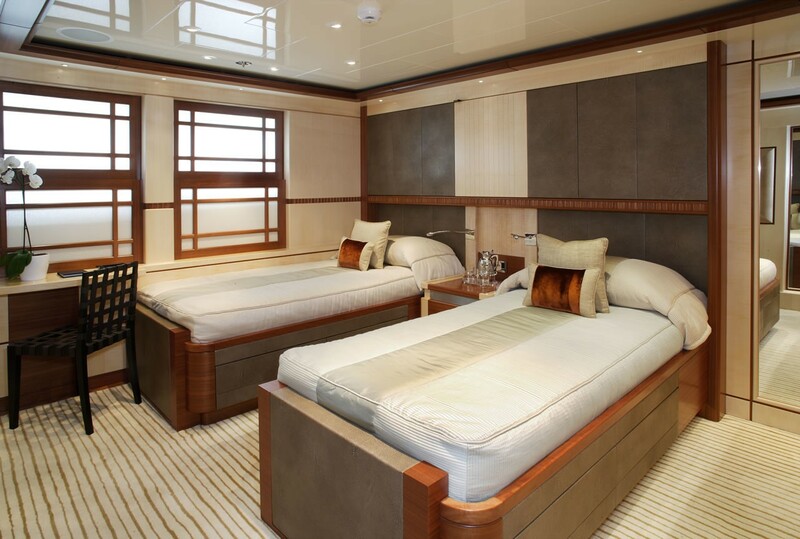 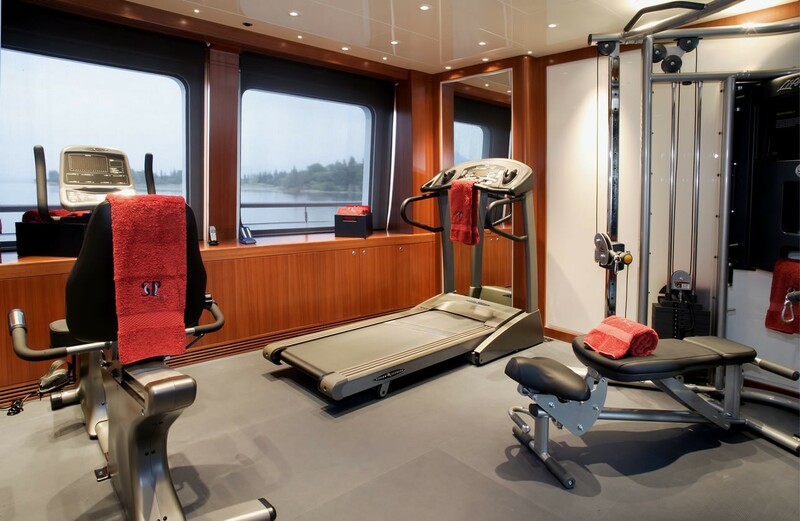 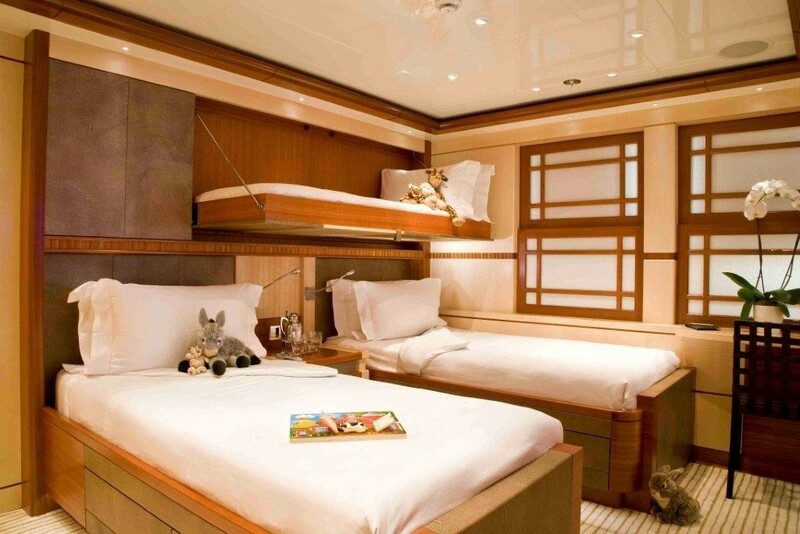 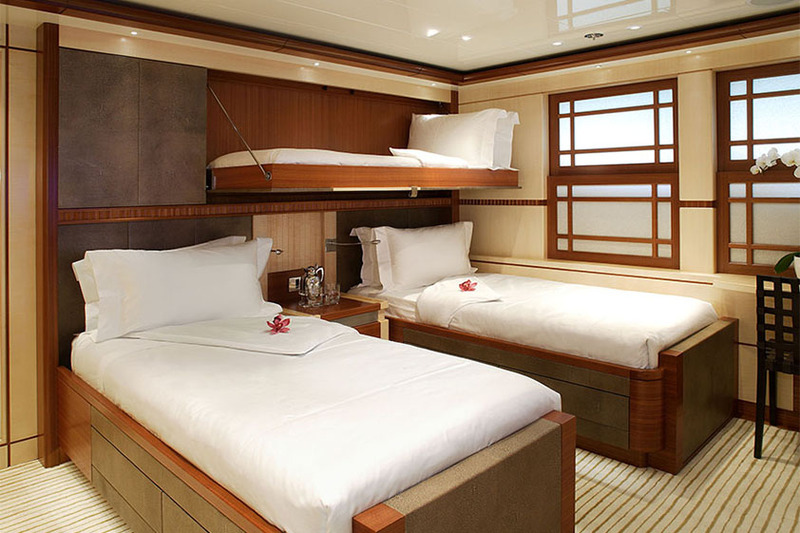 Four further guest cabins are situated on RARE FIND’s lower decks. 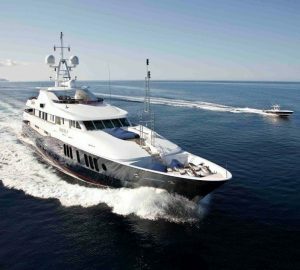 Tenders & Toys on motor yacht RARE FIND include an 11m Intrepid tender, a 6m Seadoo tender, two Seadoo Jetskis, two Laser sailing dinghies and two kayaks. 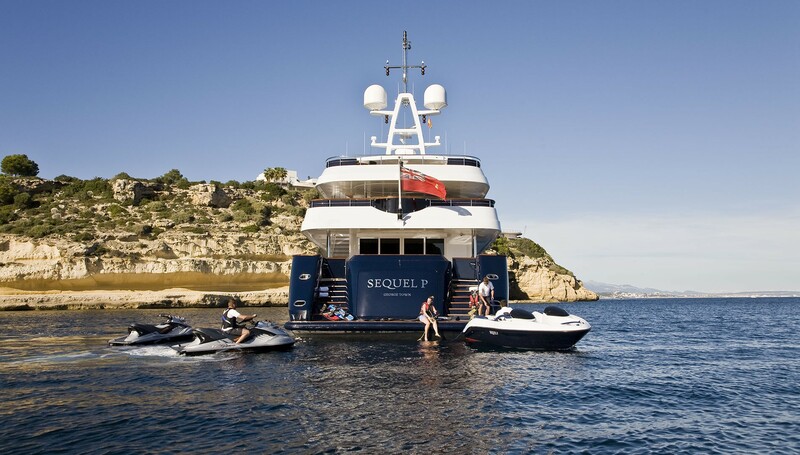 There are various other water toys such as windsurfers, towables and snorkelling equipment.